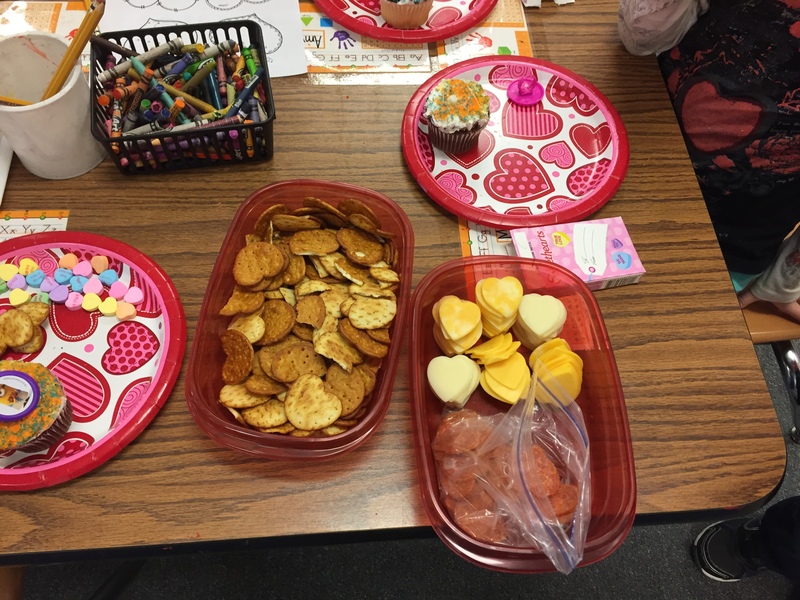 Today we celebrated Valentine’s Day due to tomorrow being a teacher inservice. 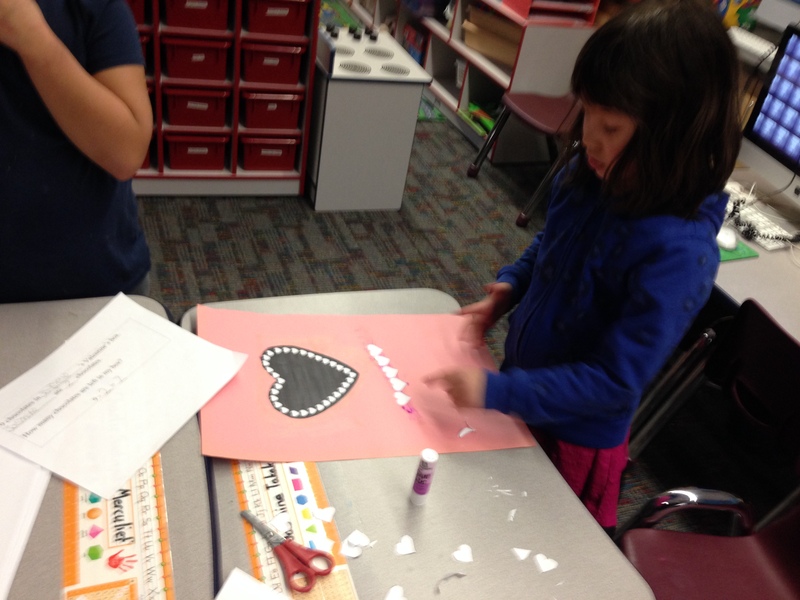 The day started off with us creating valentine boxes out of empty tissue paper boxes. 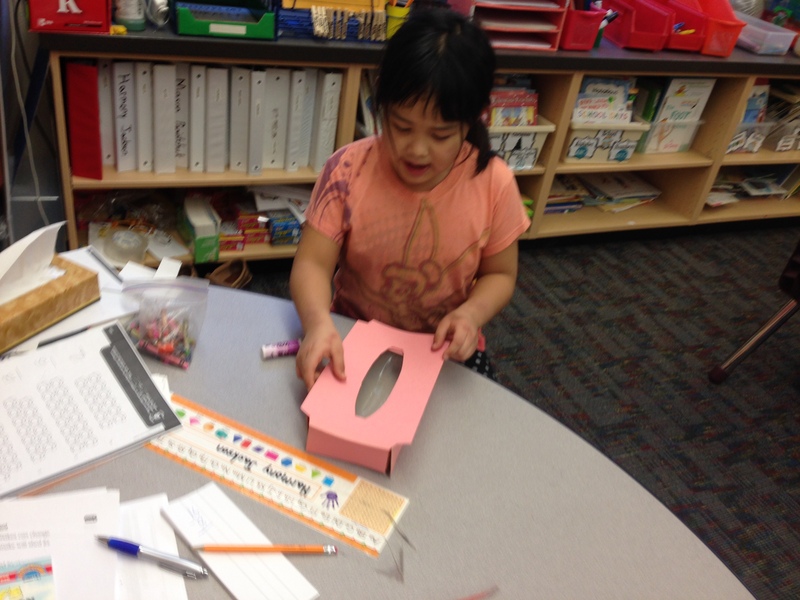 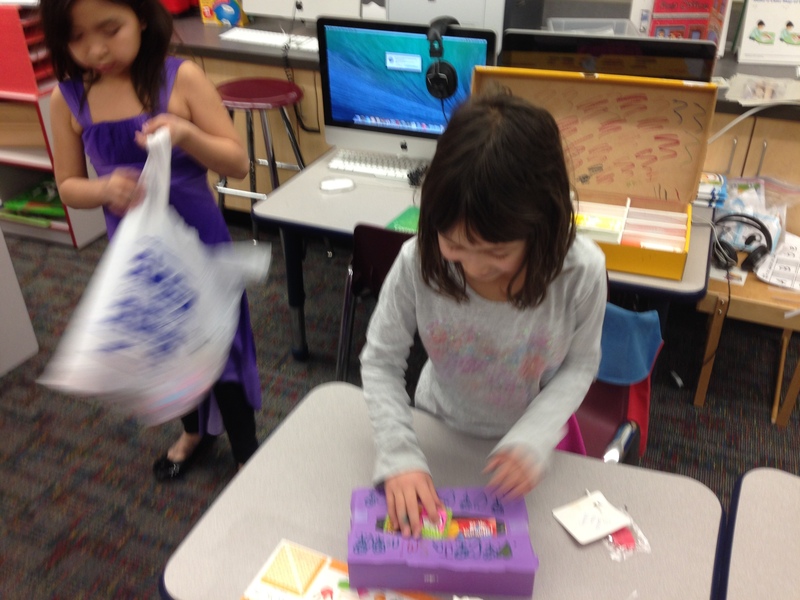 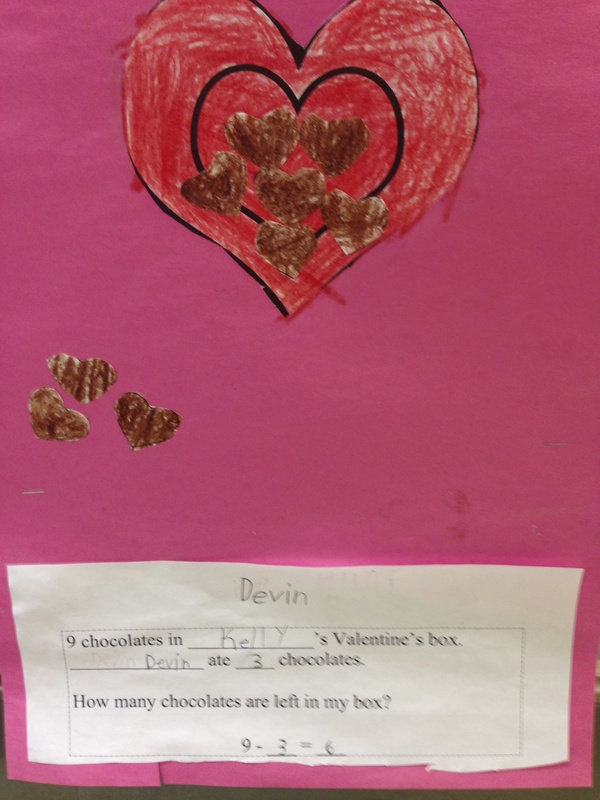 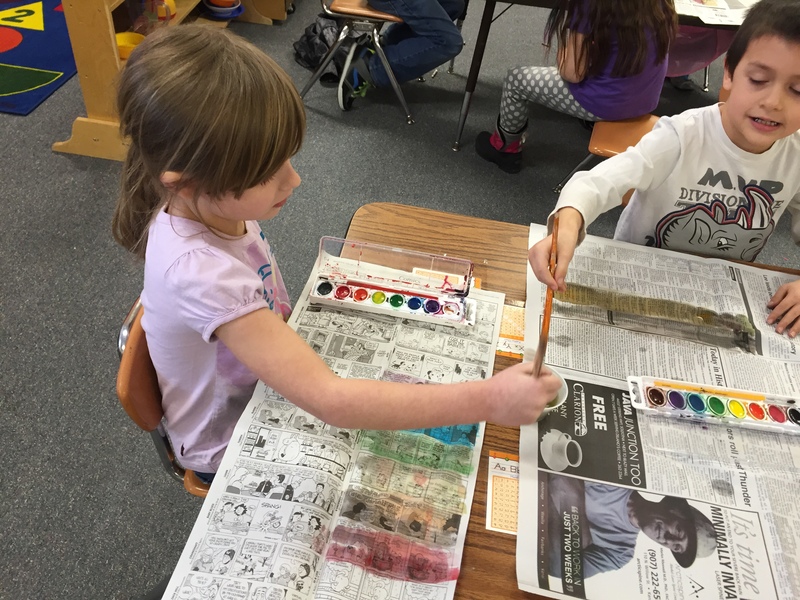 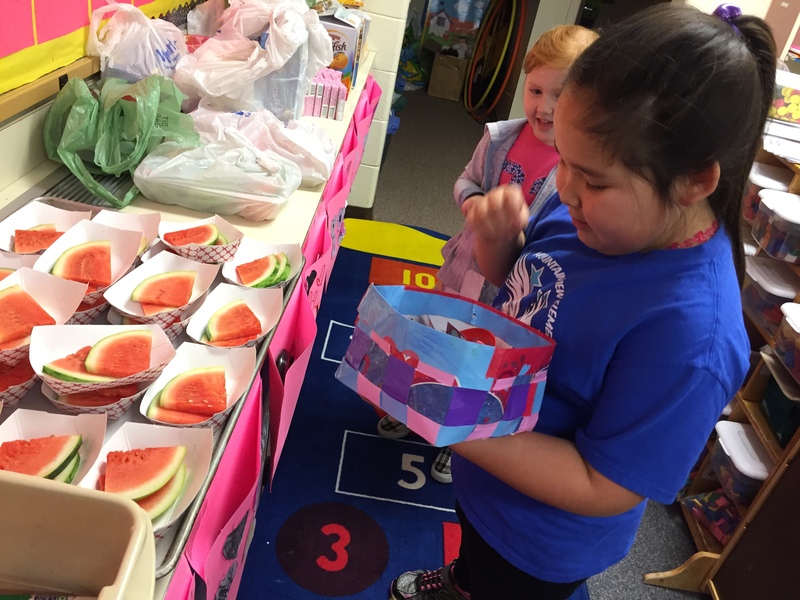 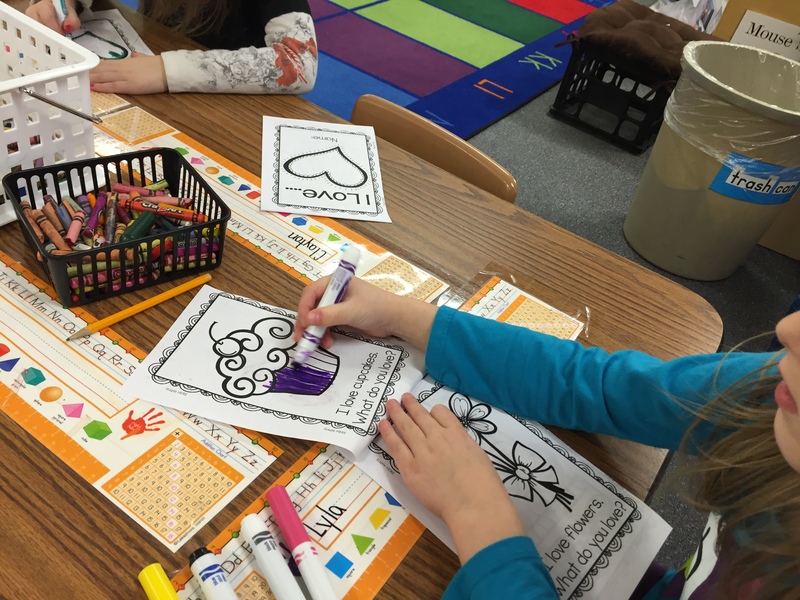 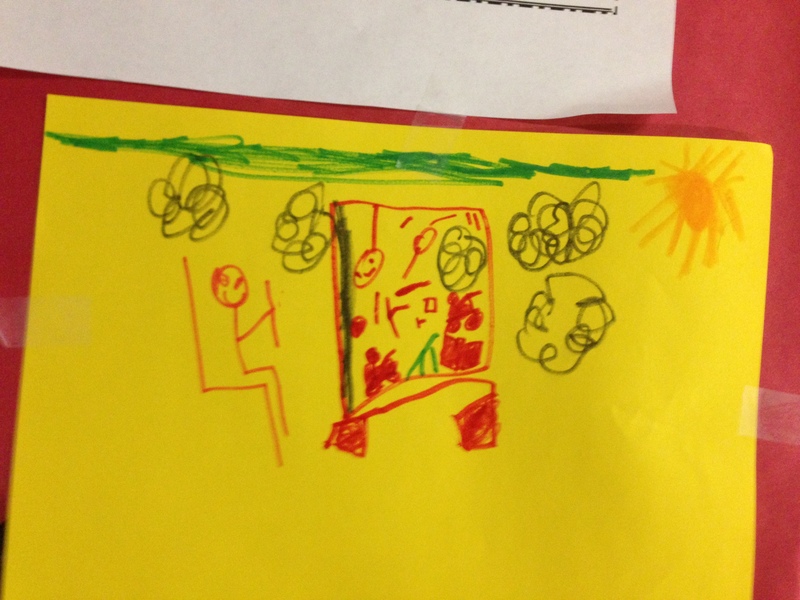 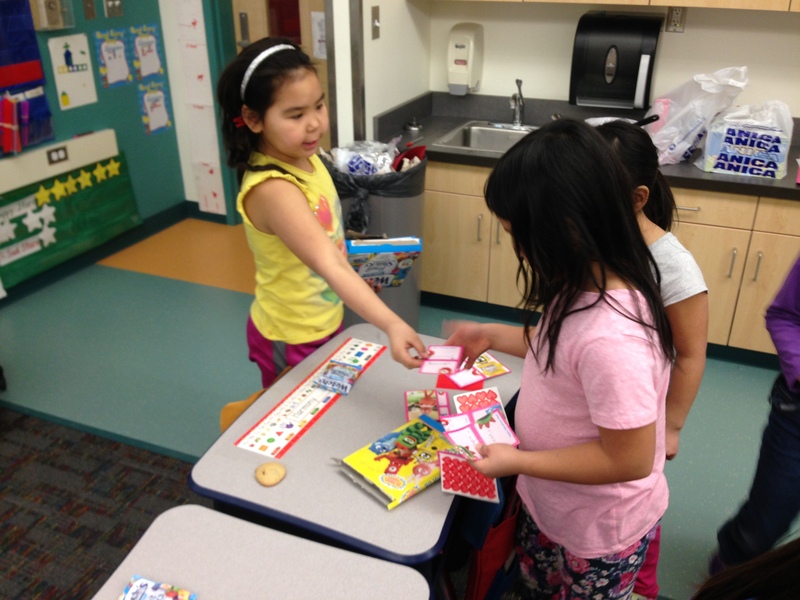 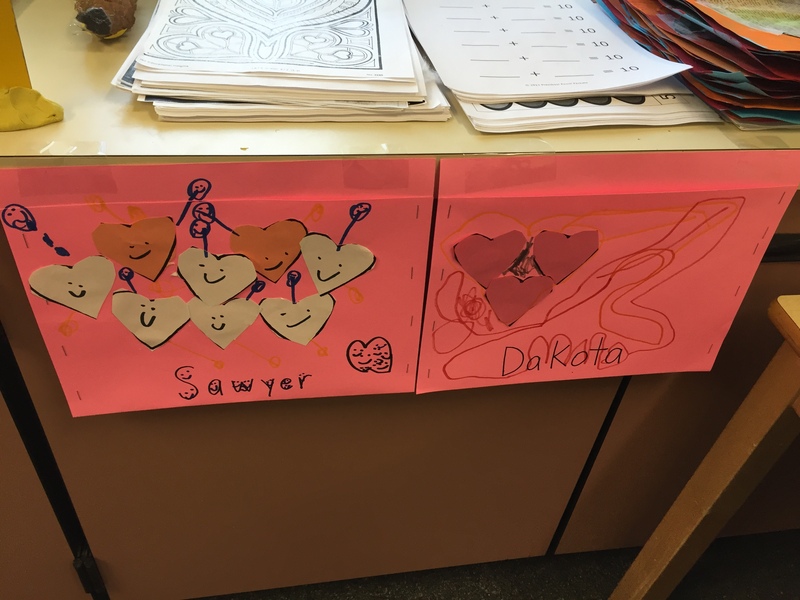 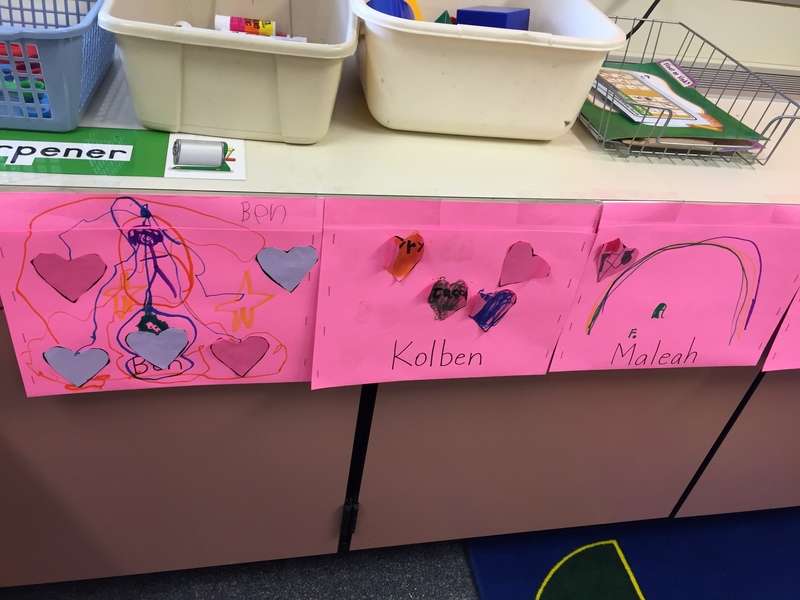 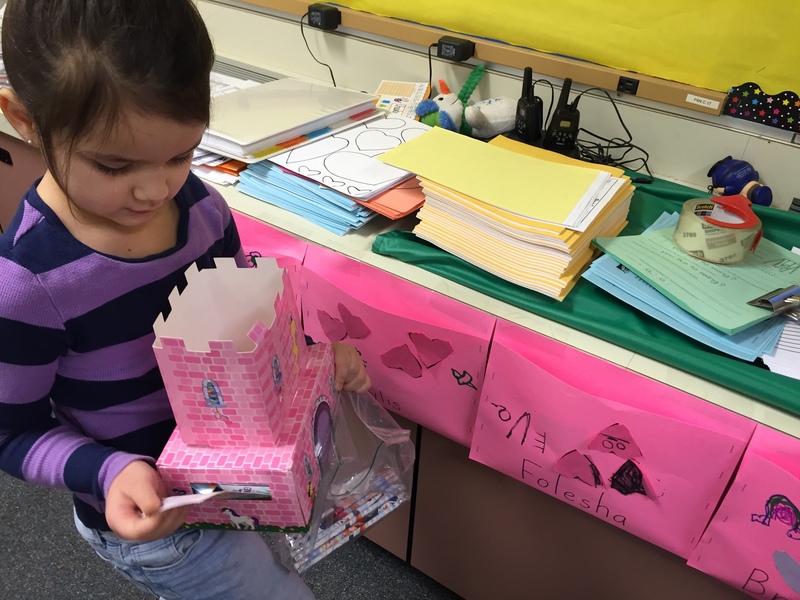 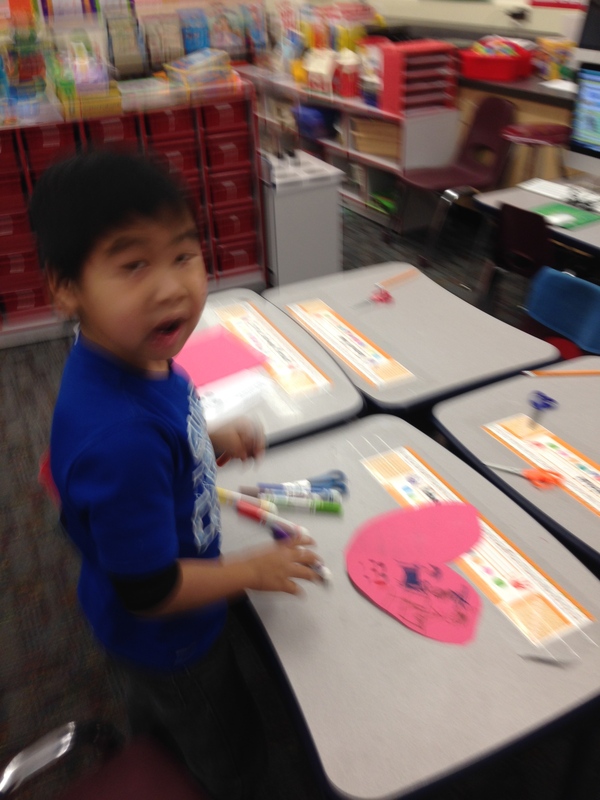 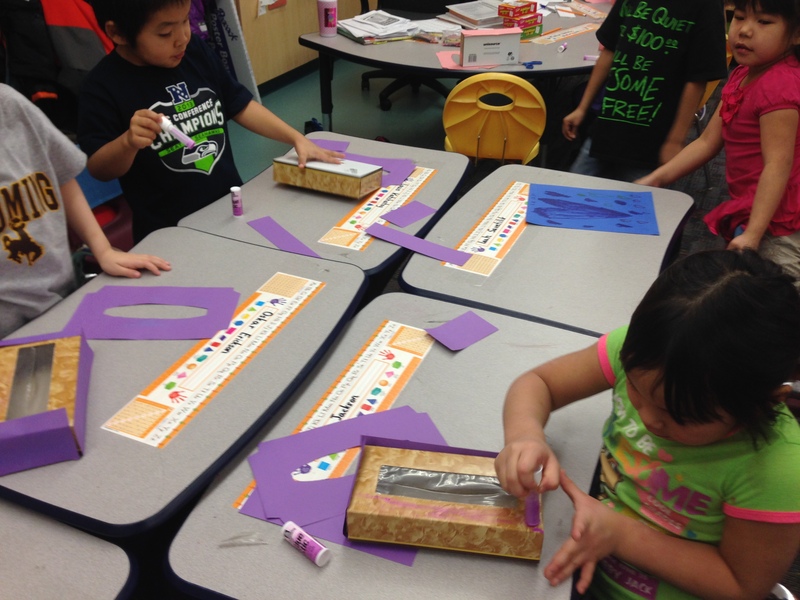 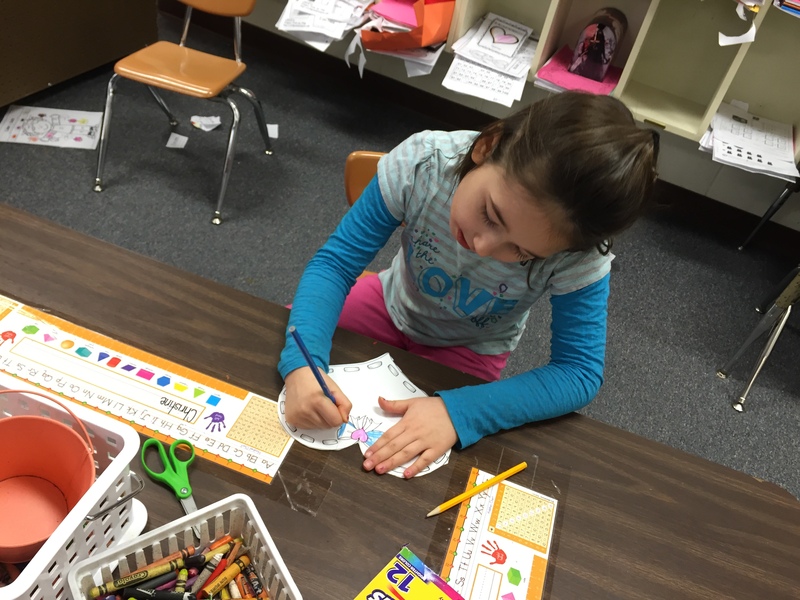 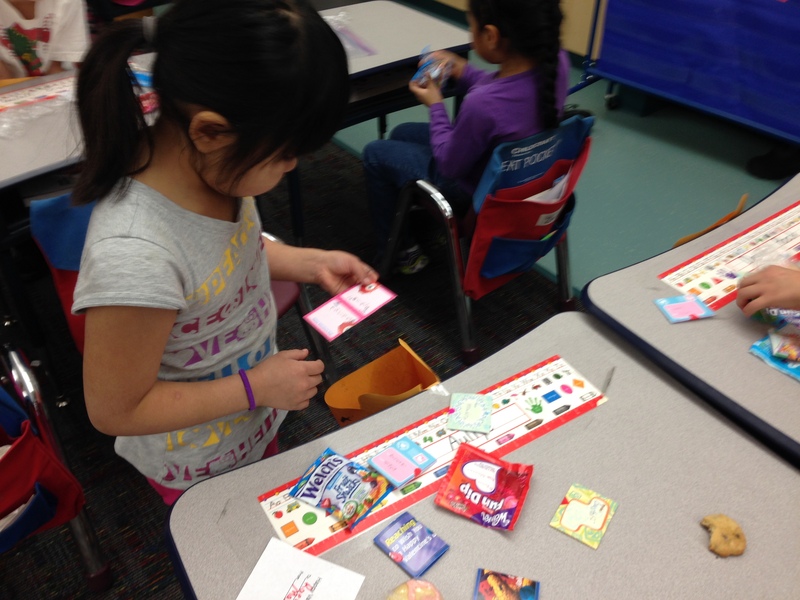 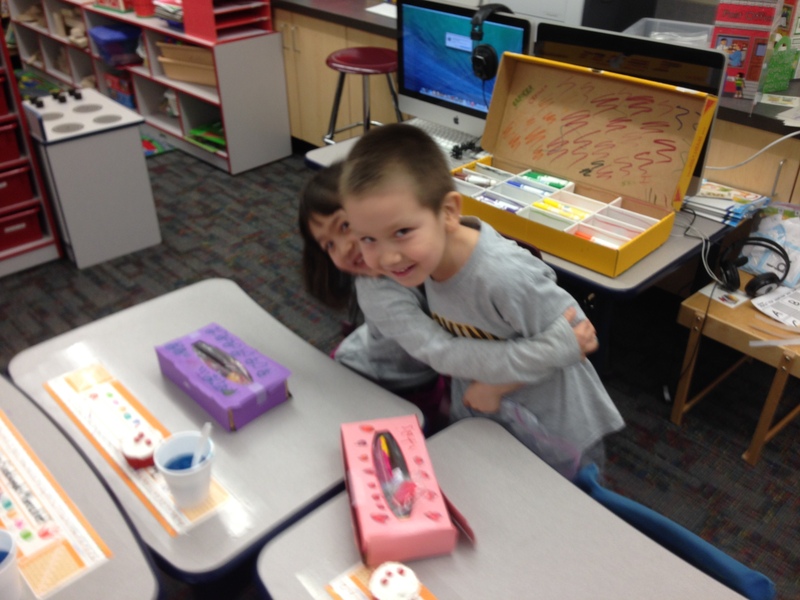 We decorated the boxes with markers and got out our valentine’s and gave them to our friends. 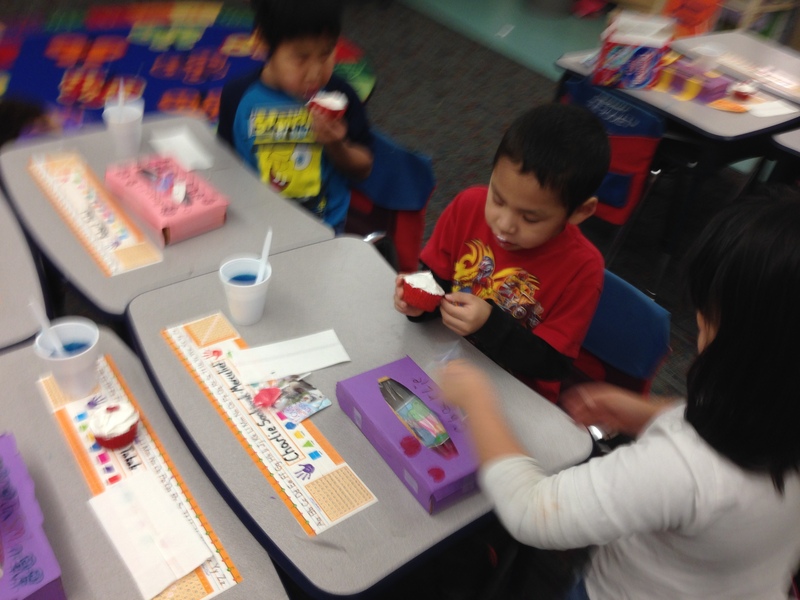 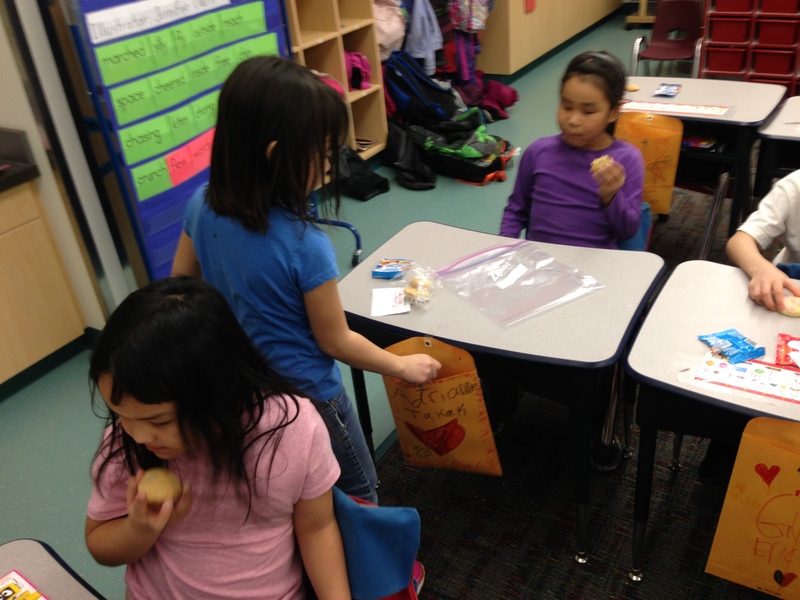 During the handing out of the valentines we also enjoyed cupcakes, cookies, and jello to help our sweet tooth! 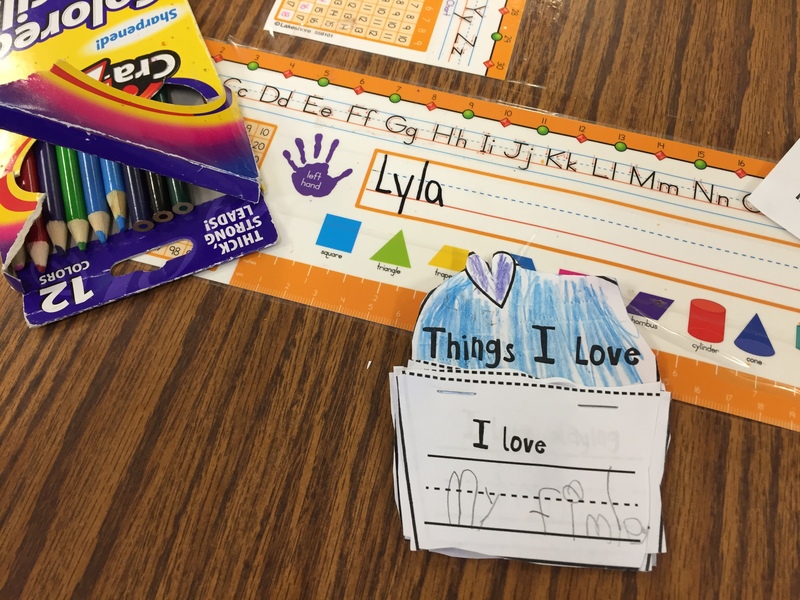 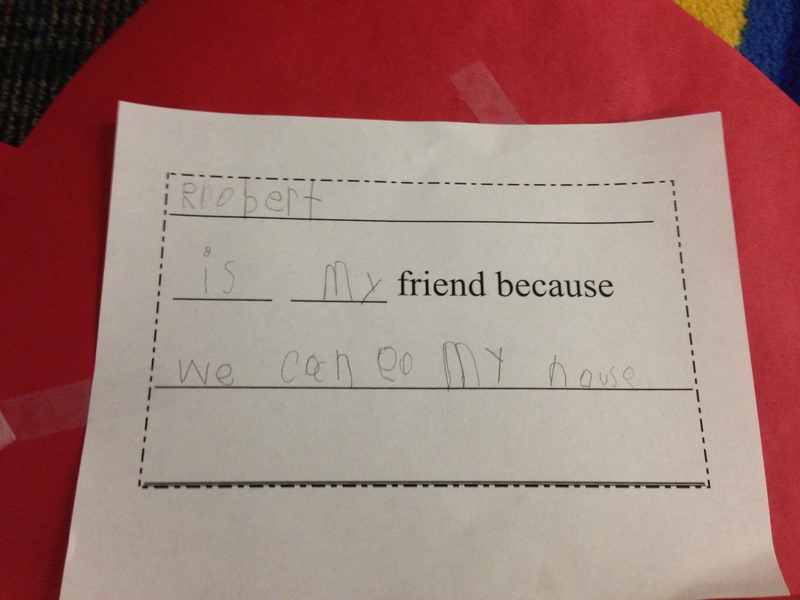 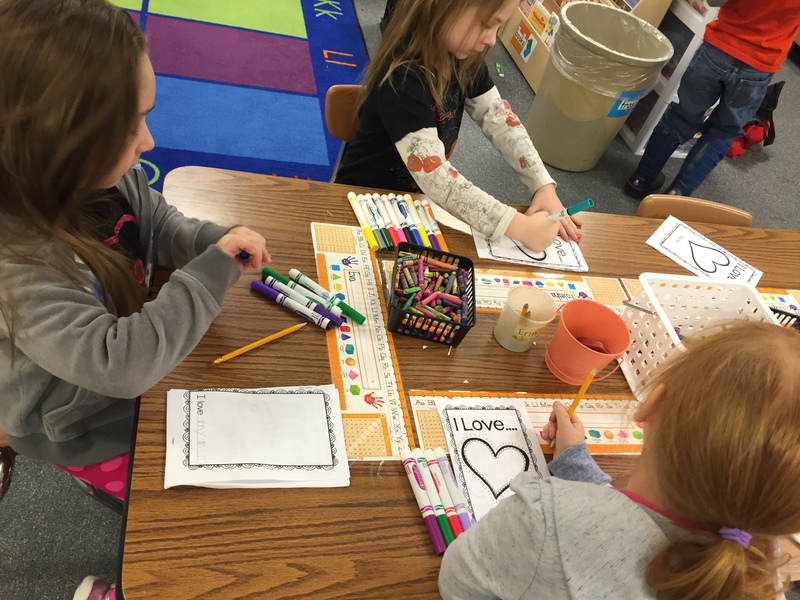 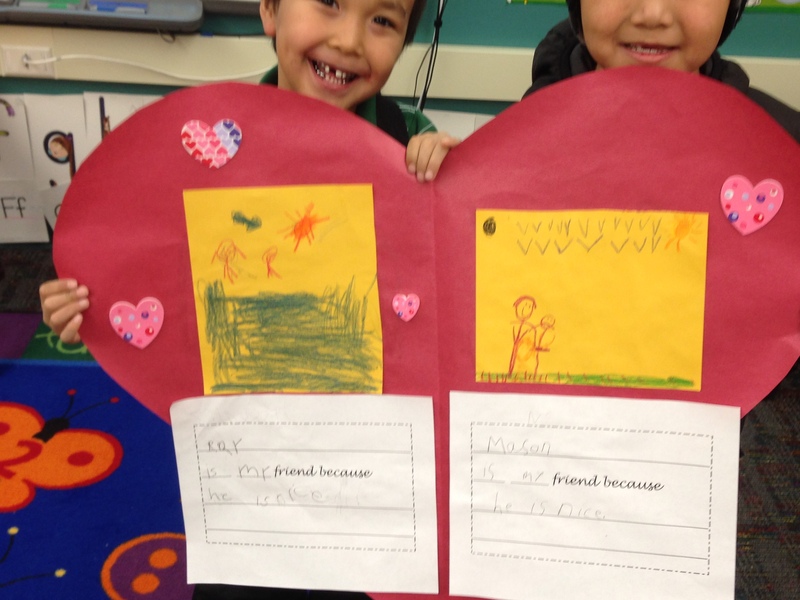 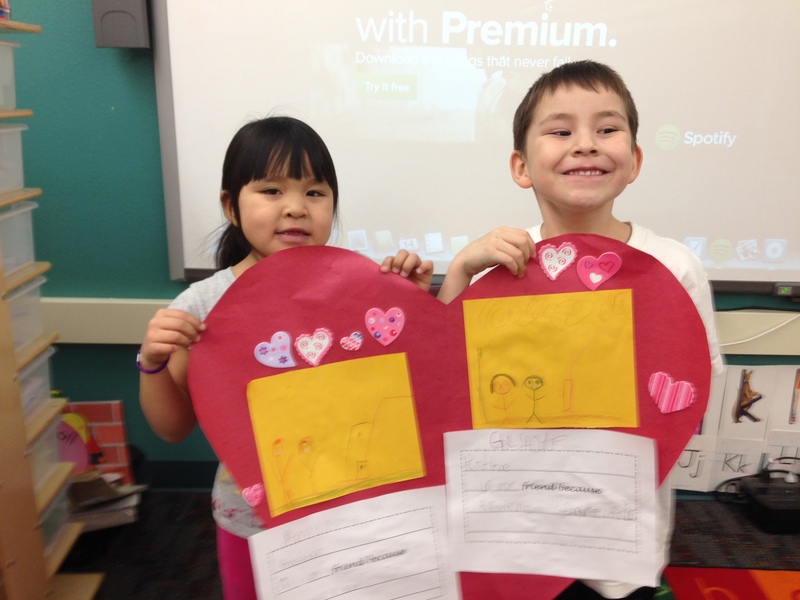 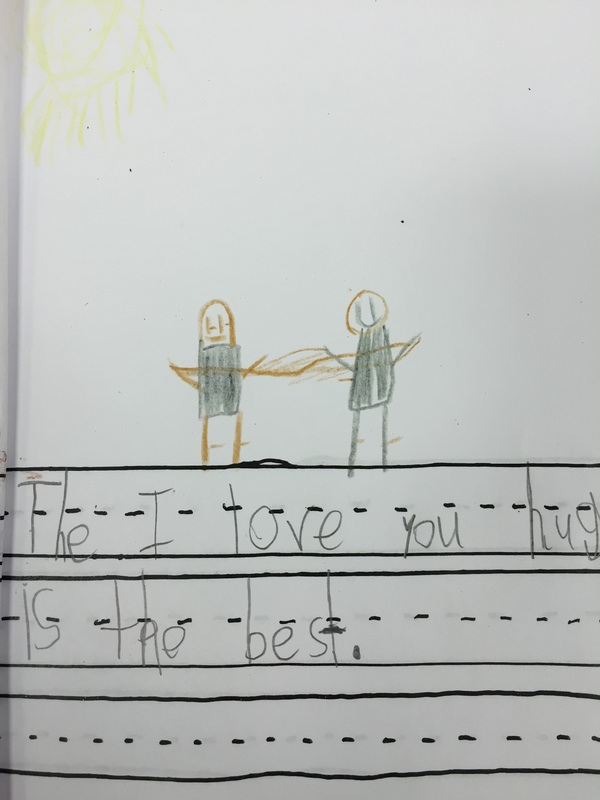 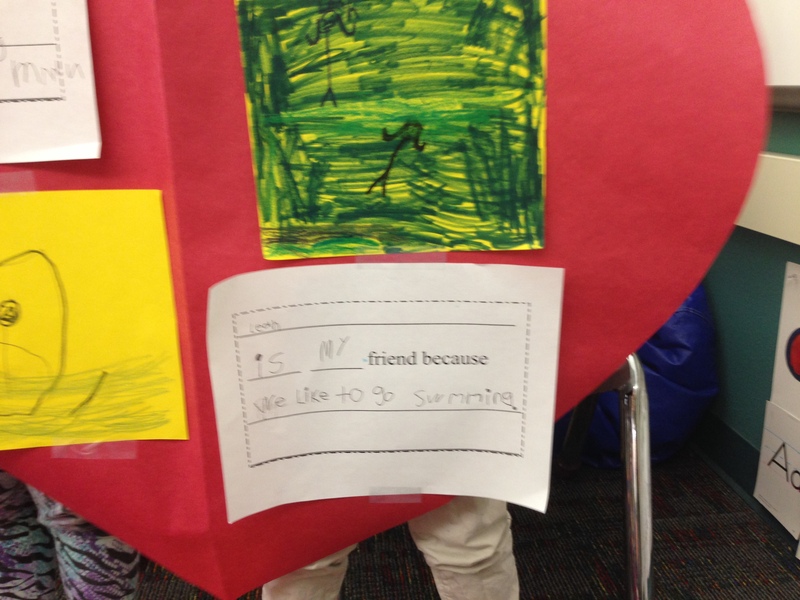 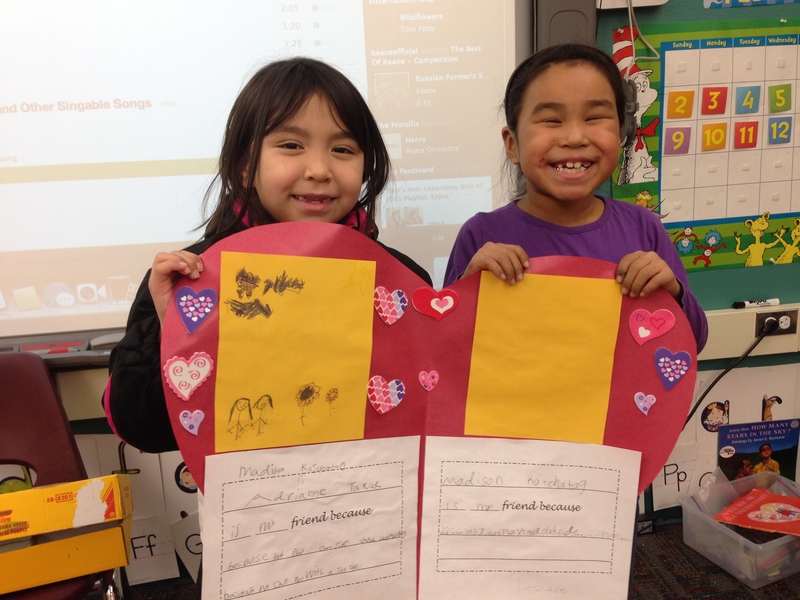 After the valentines the students partnered up and talked about something they both liked to do and wrote about why they were friends. 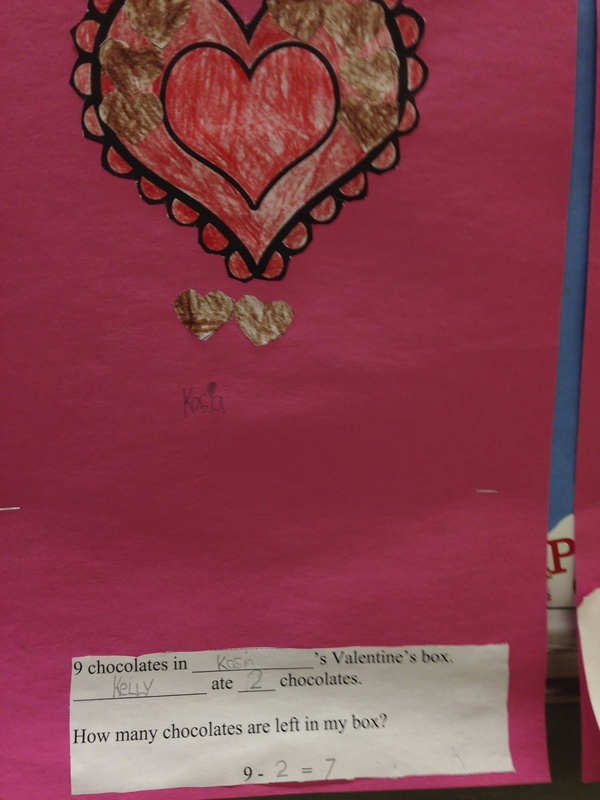 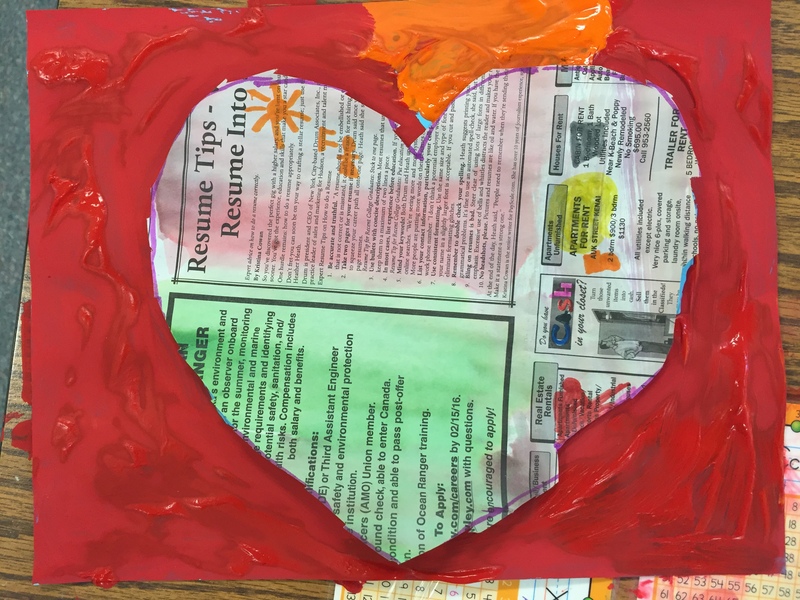 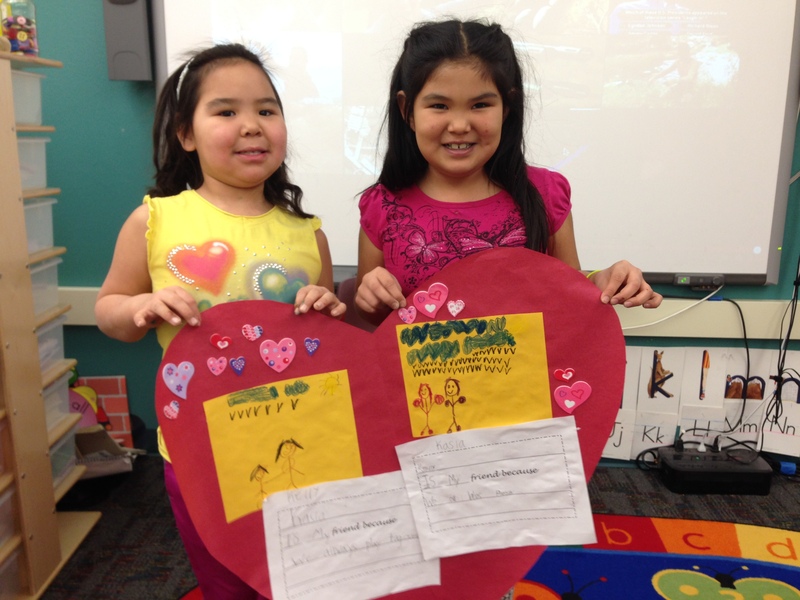 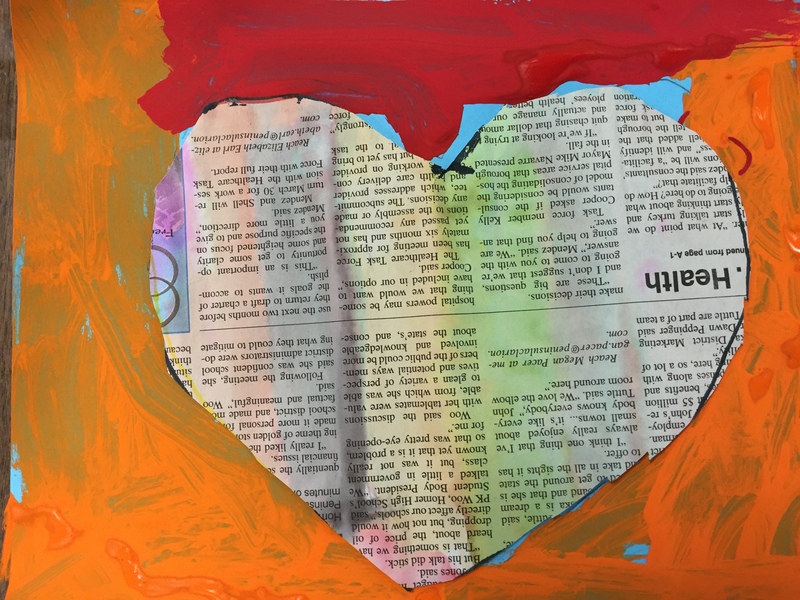 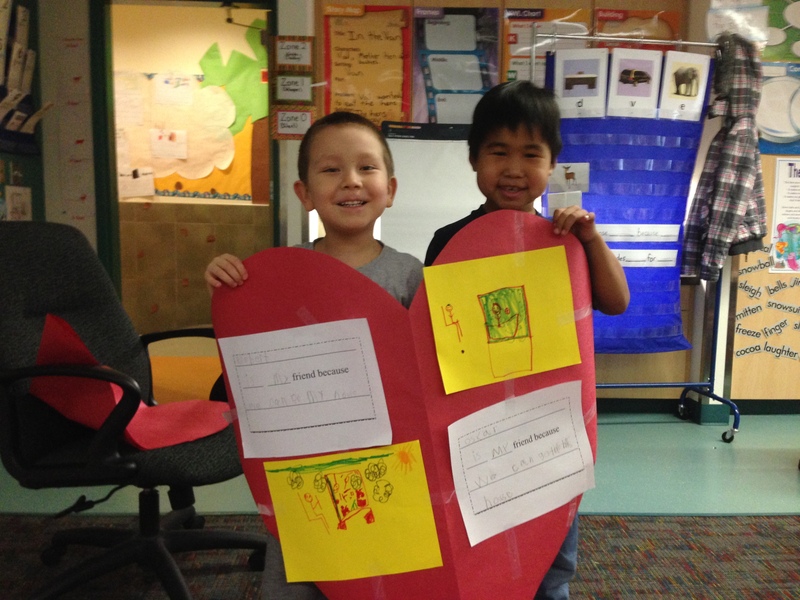 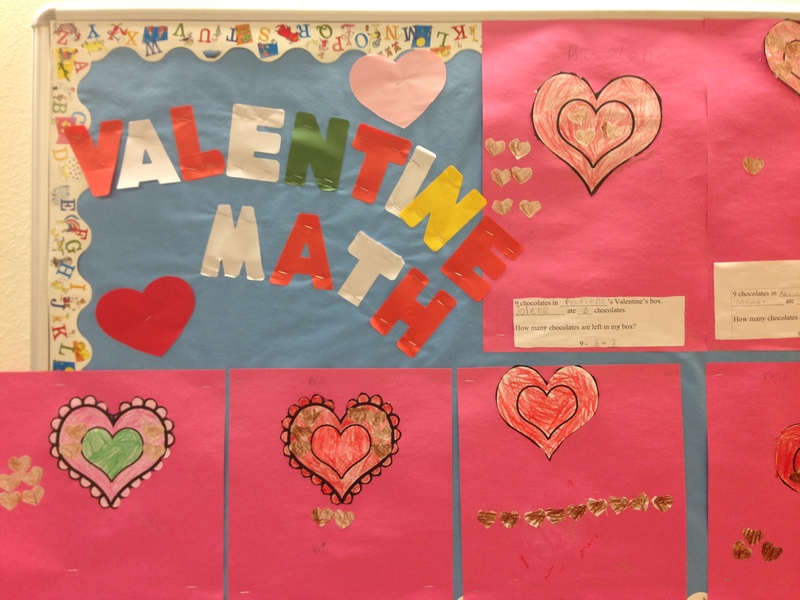 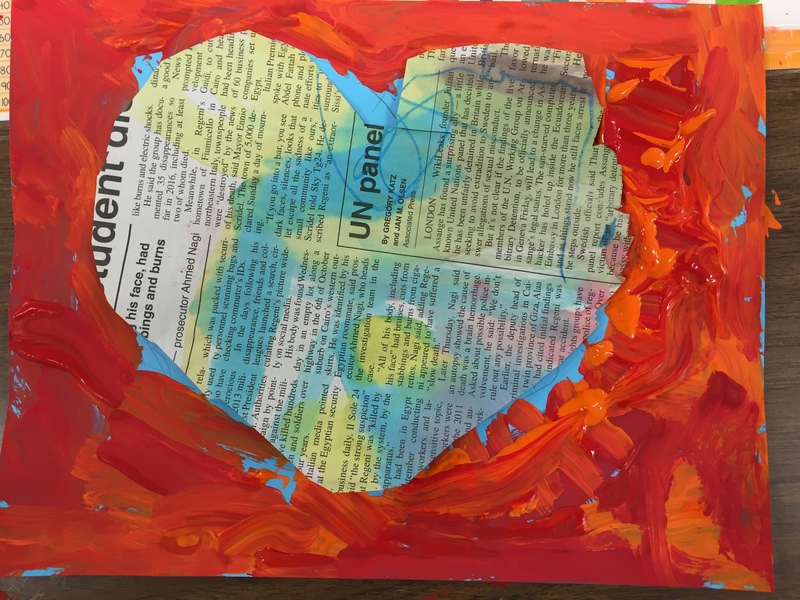 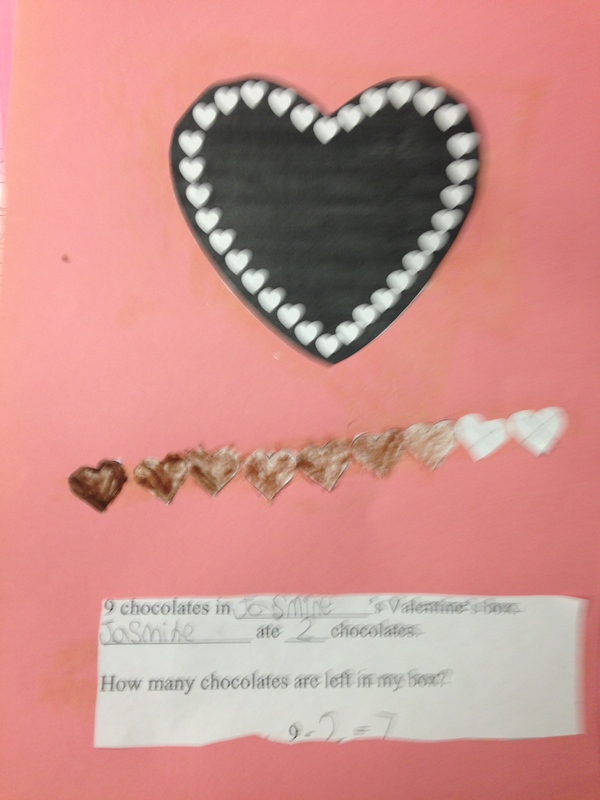 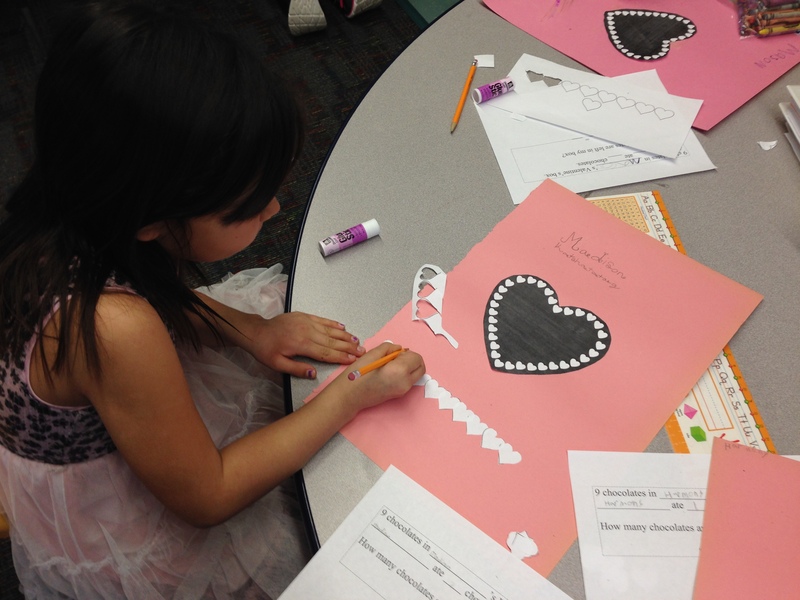 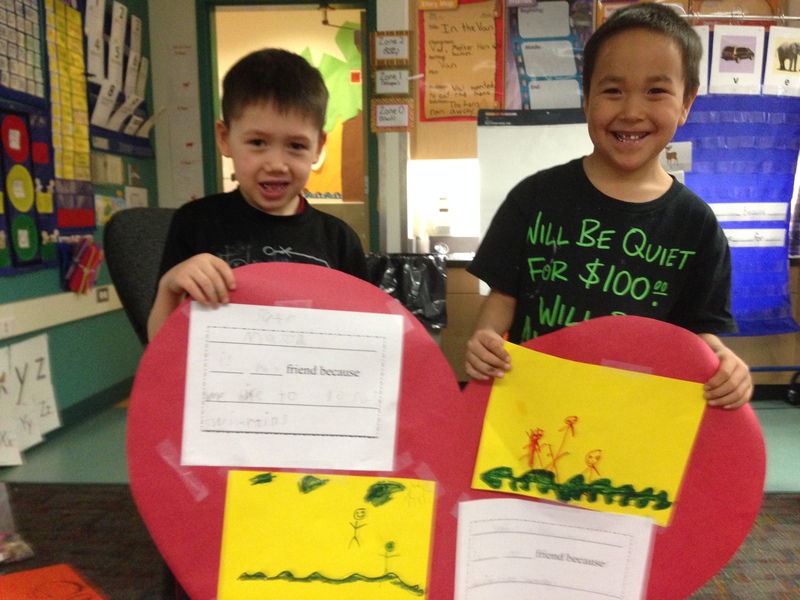 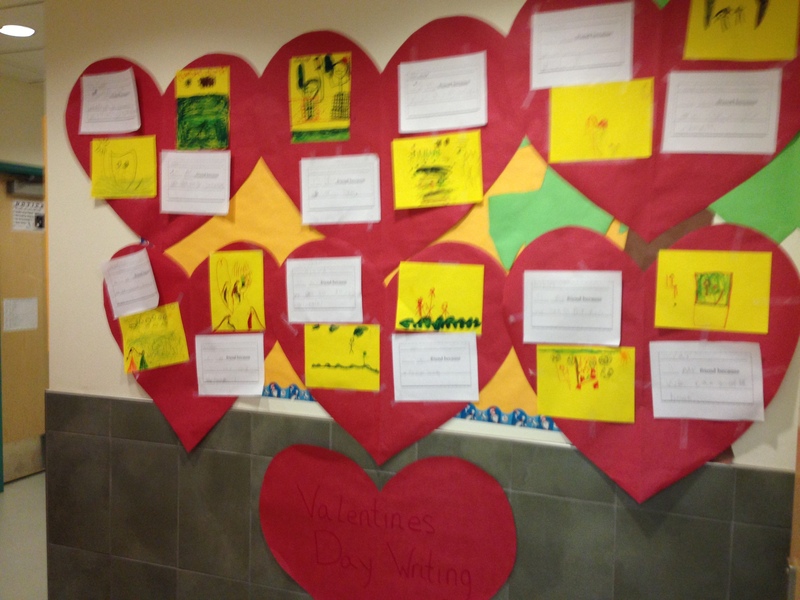 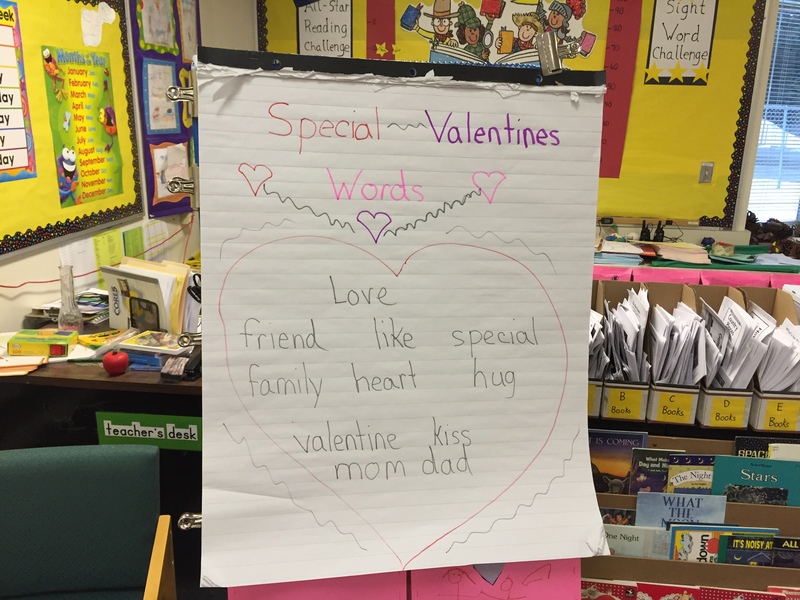 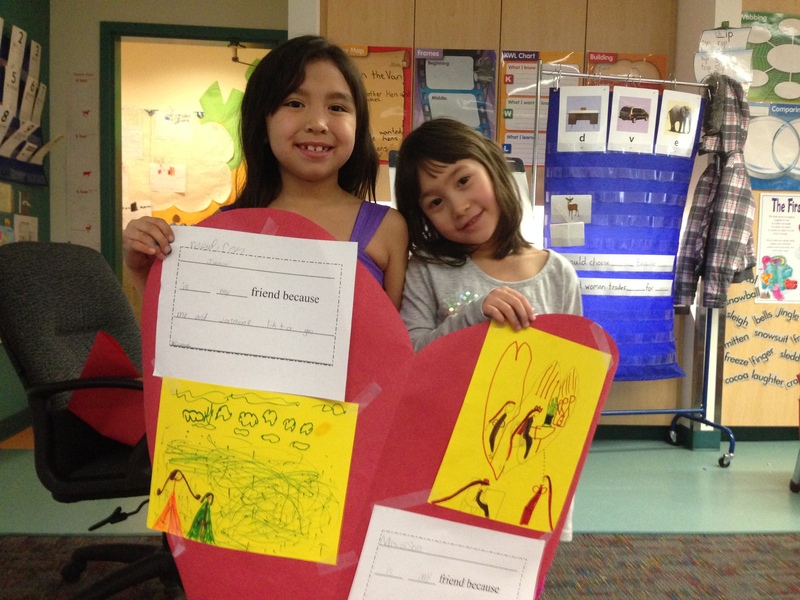 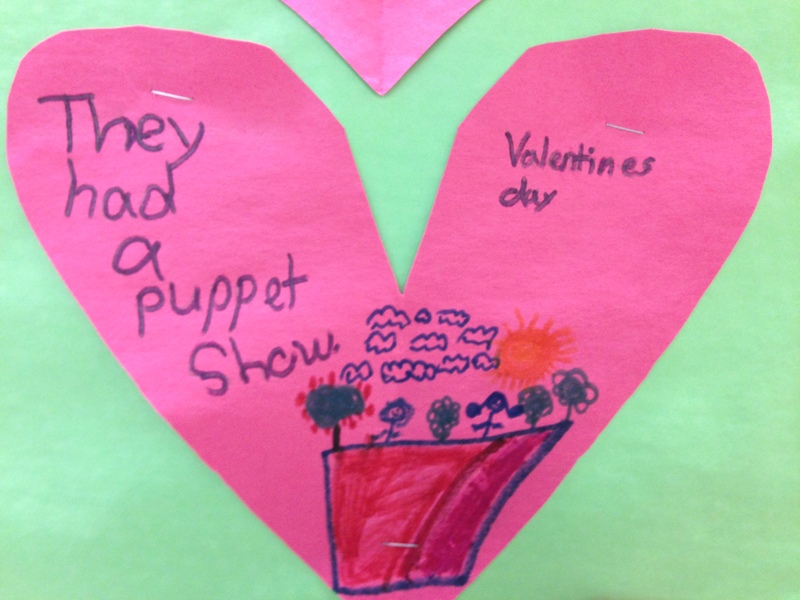 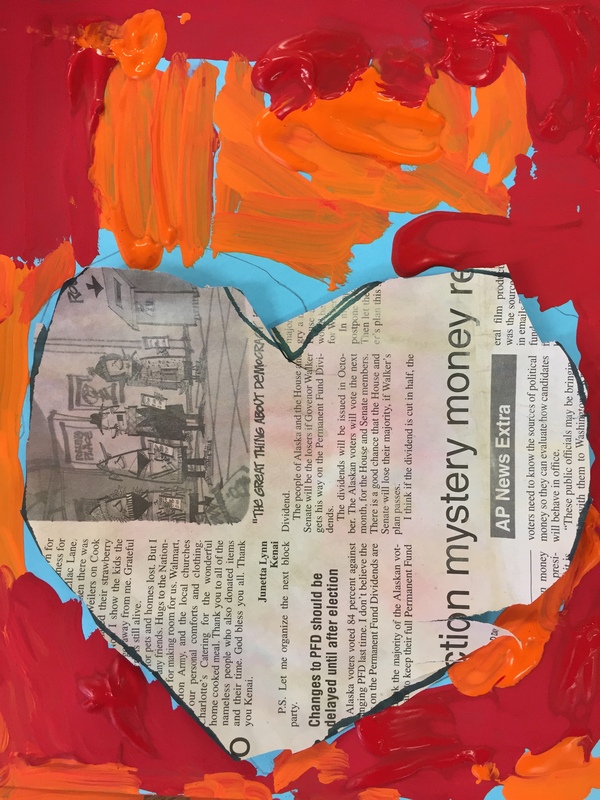 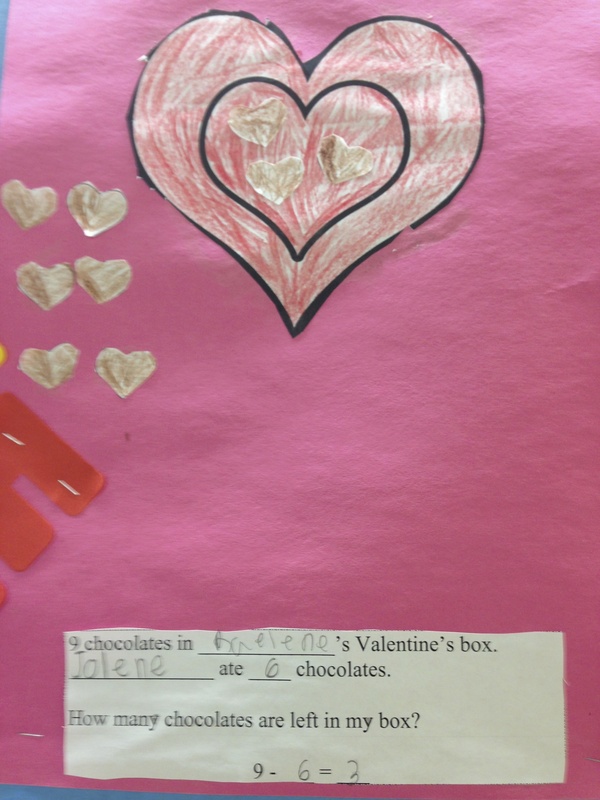 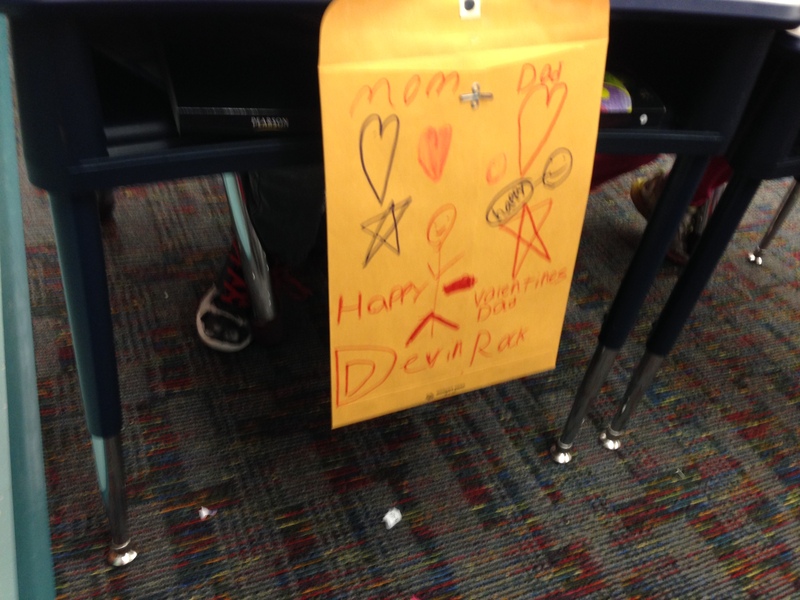 Students placed their writings (and drawings) on big bulletin board paper hearts. 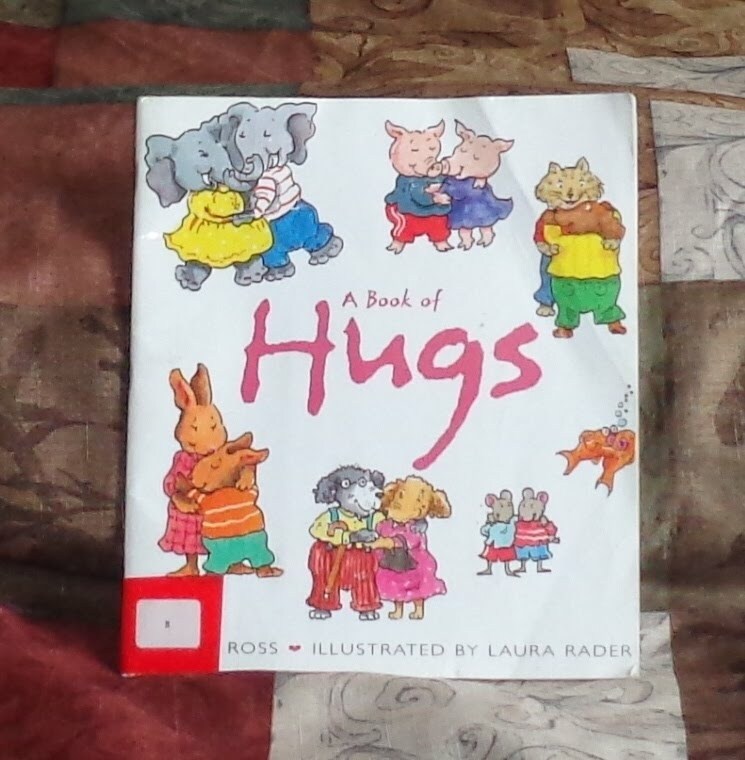 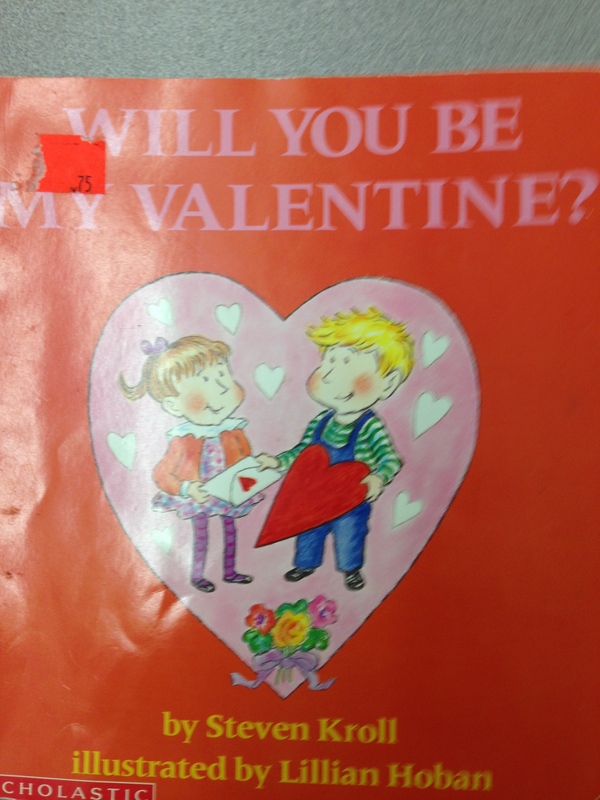 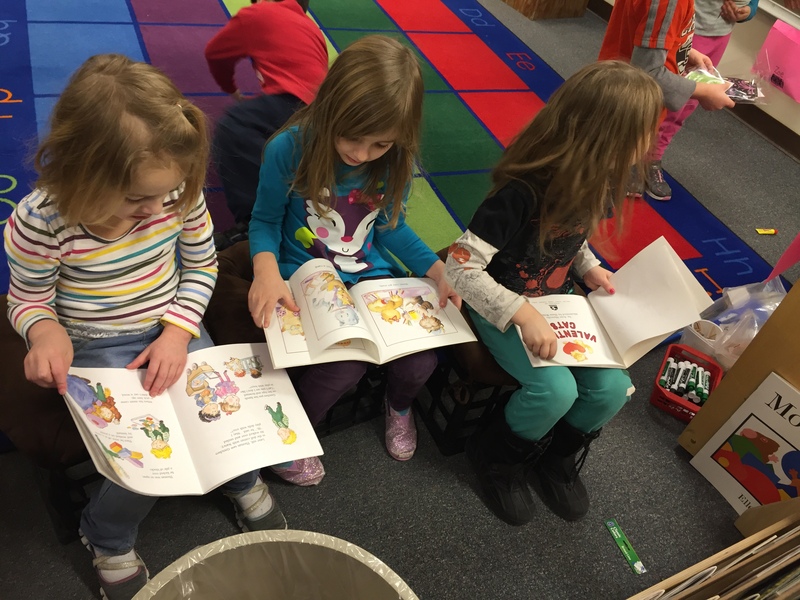 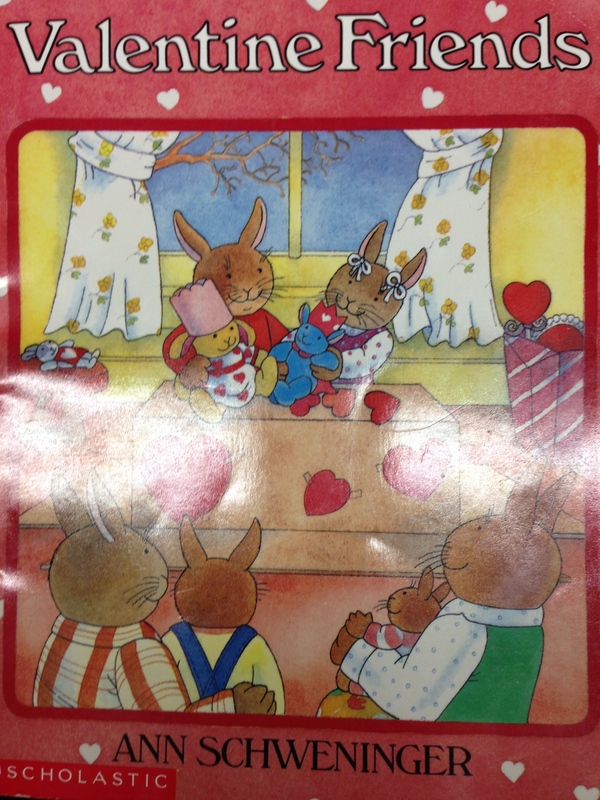 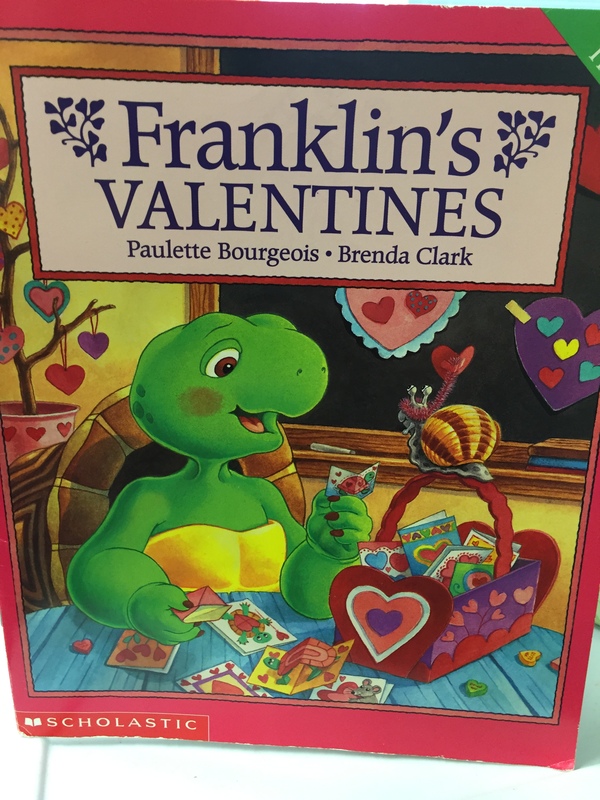 Today we read the story Valentine Friends in celebration of our upcoming Valentine’s Day party. 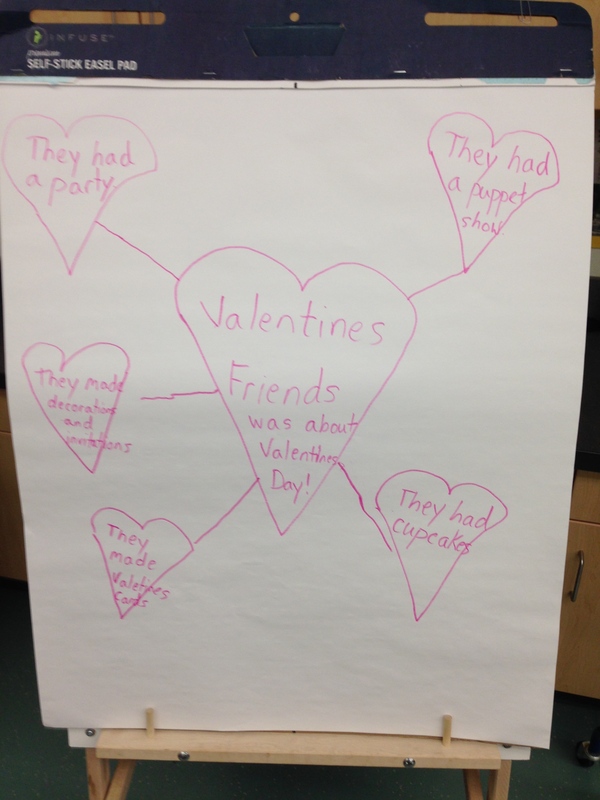 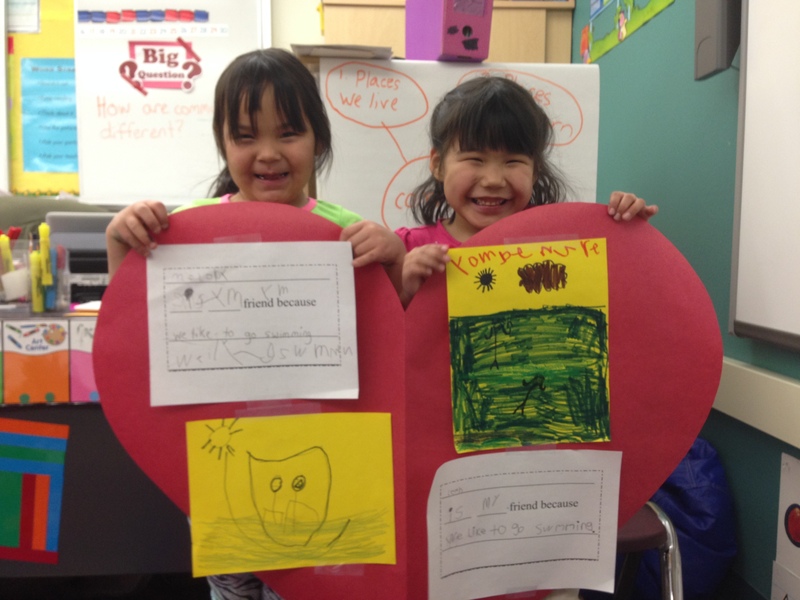 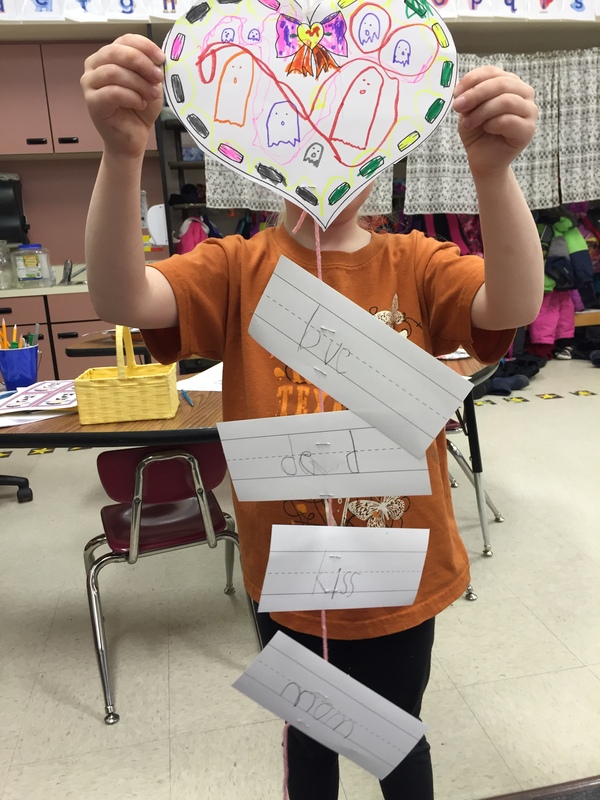 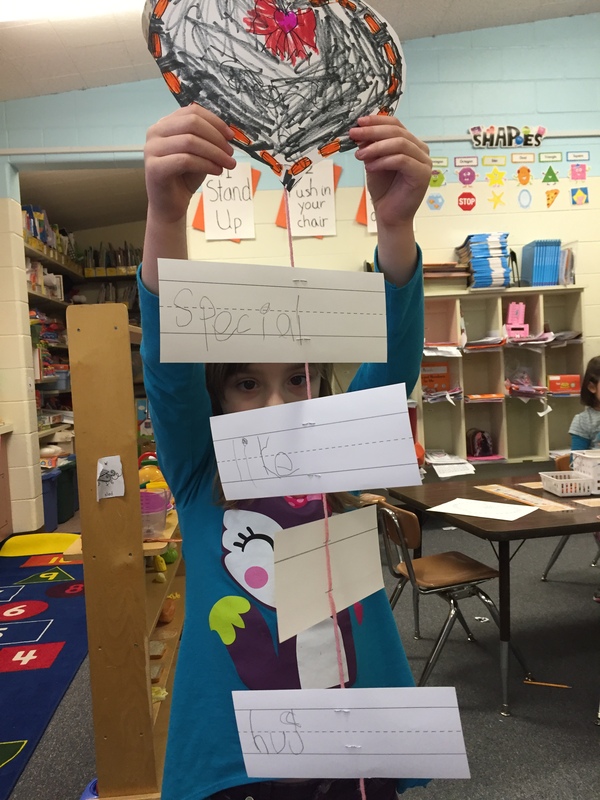 After we read the story we created a heart shaped web illustrating the main idea and details from the story. 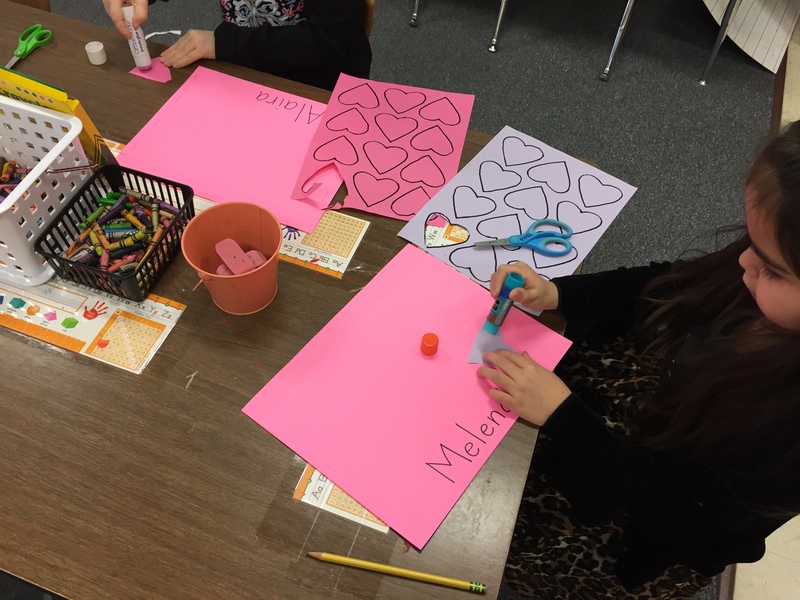 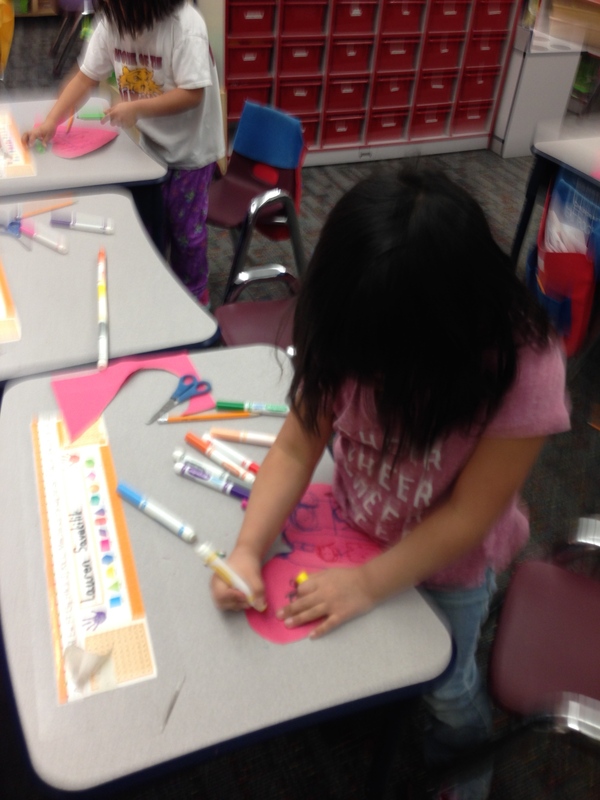 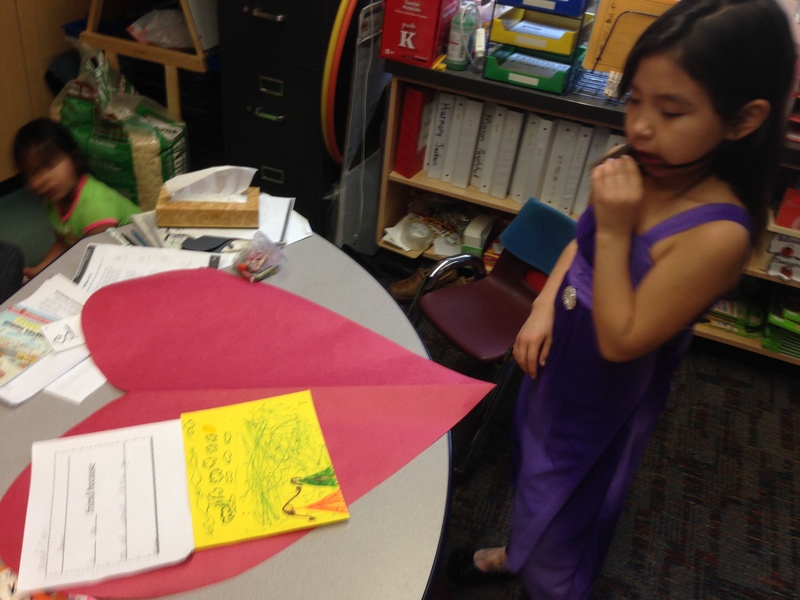 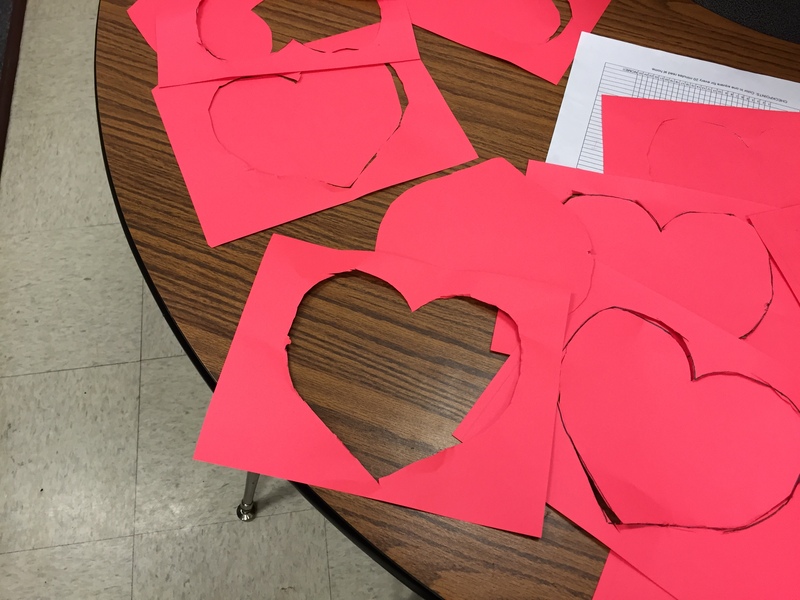 In the story the characters learned how to make construction paper hearts, so we used the directions in the story to make construction paper hearts. 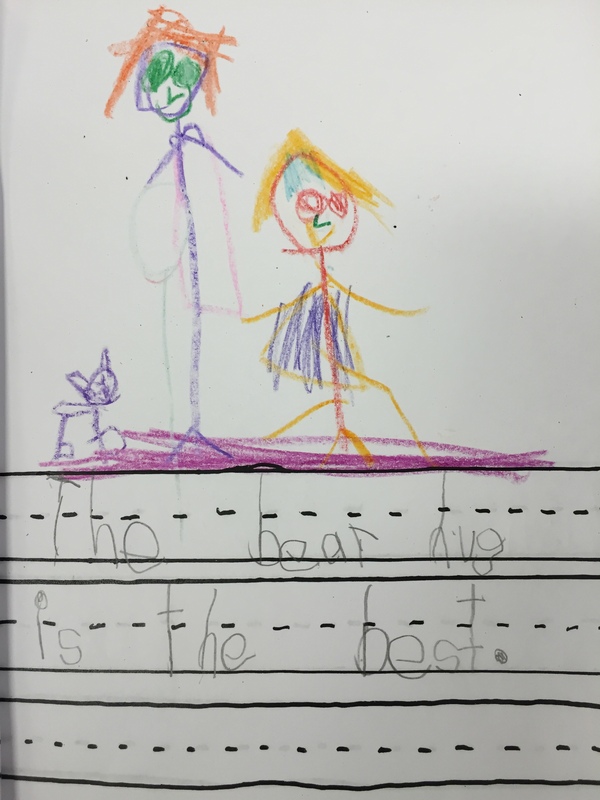 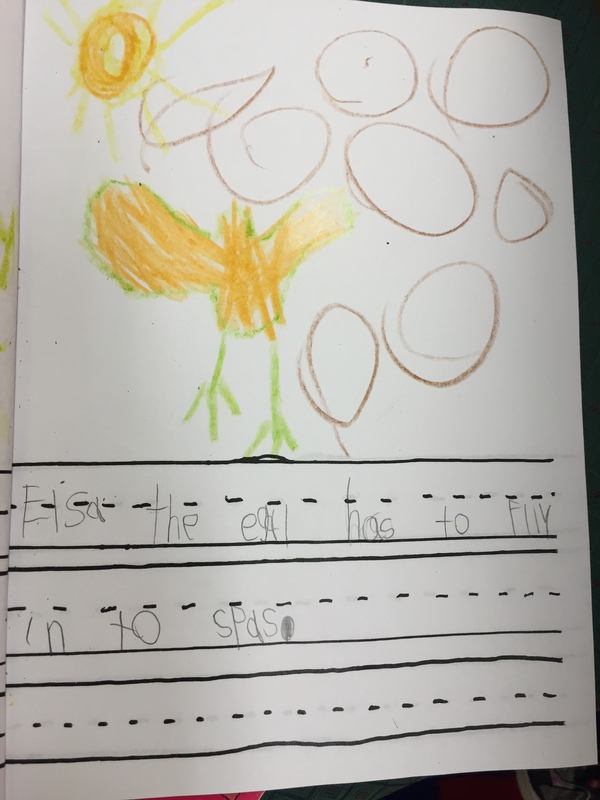 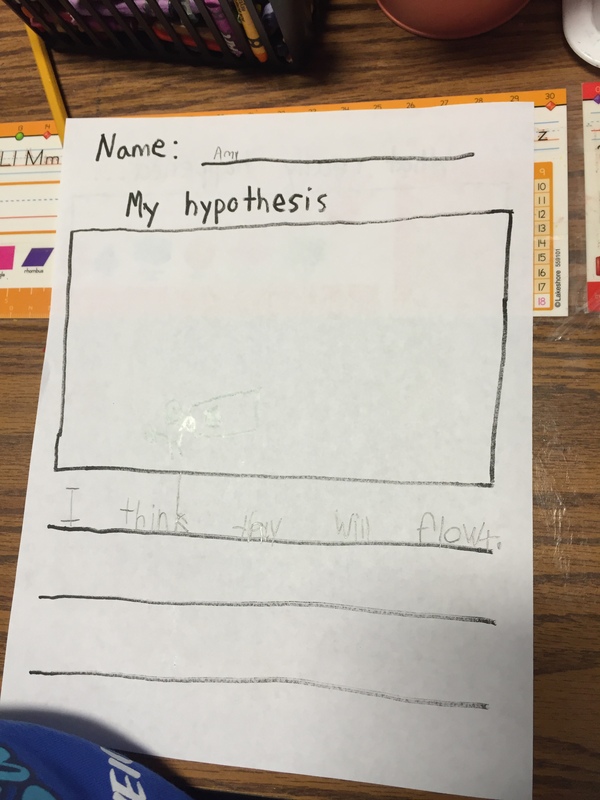 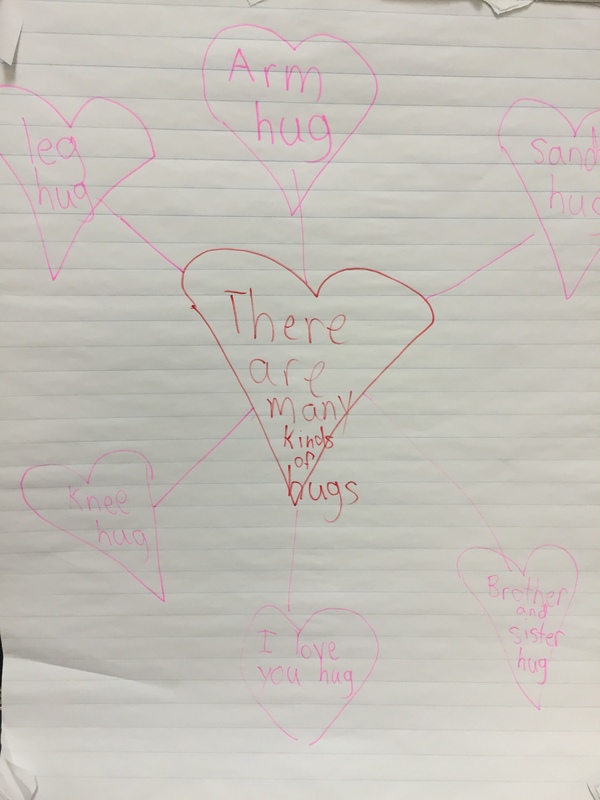 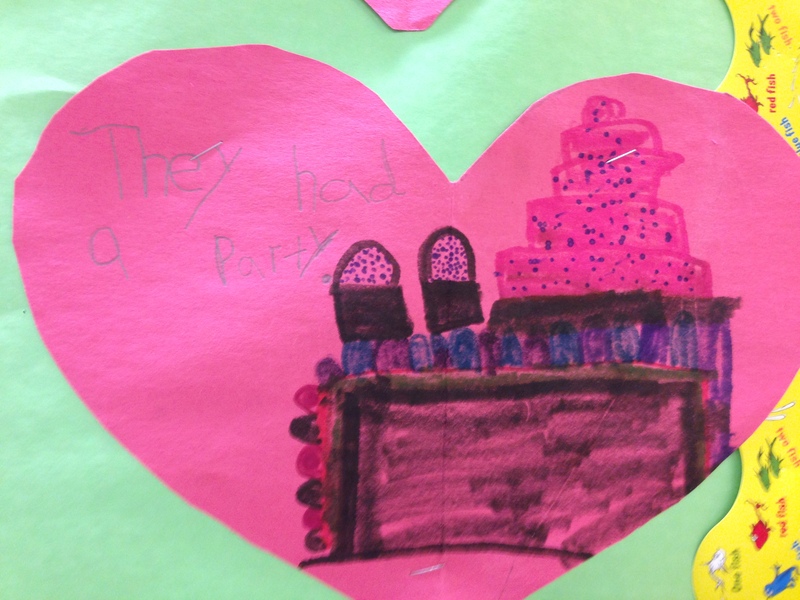 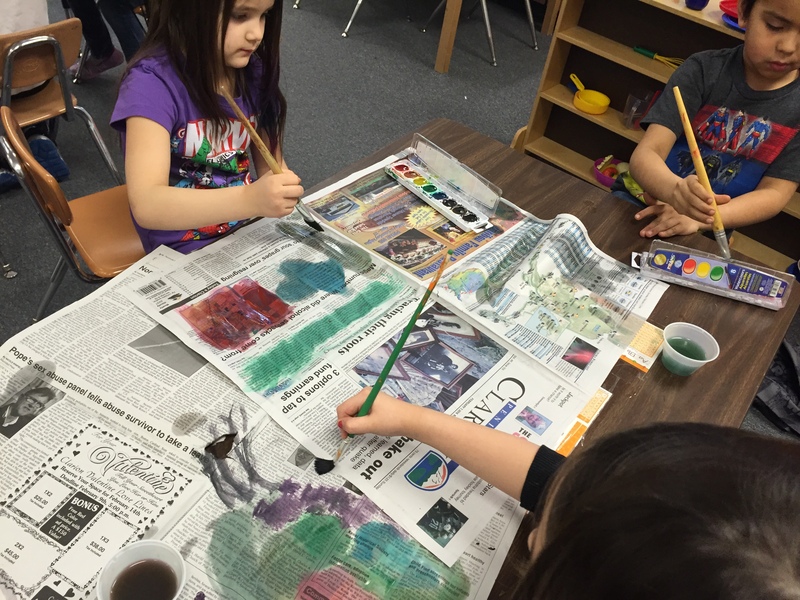 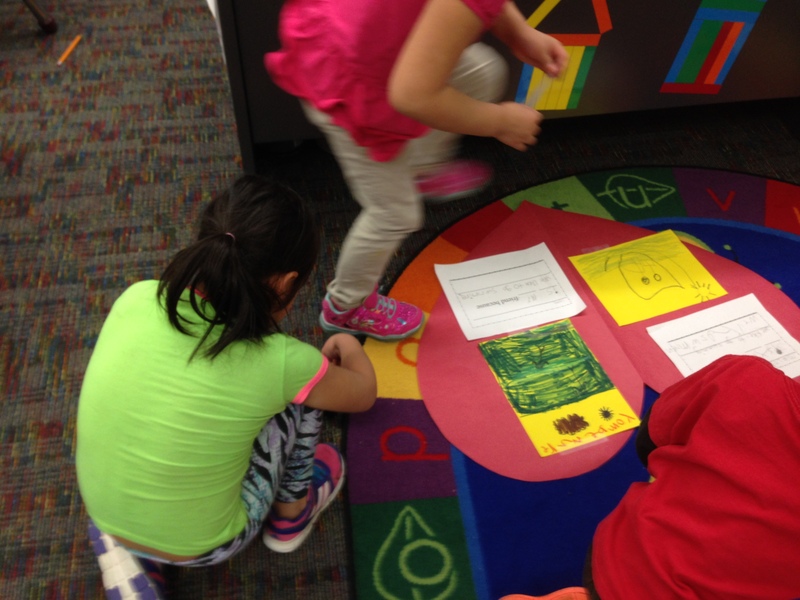 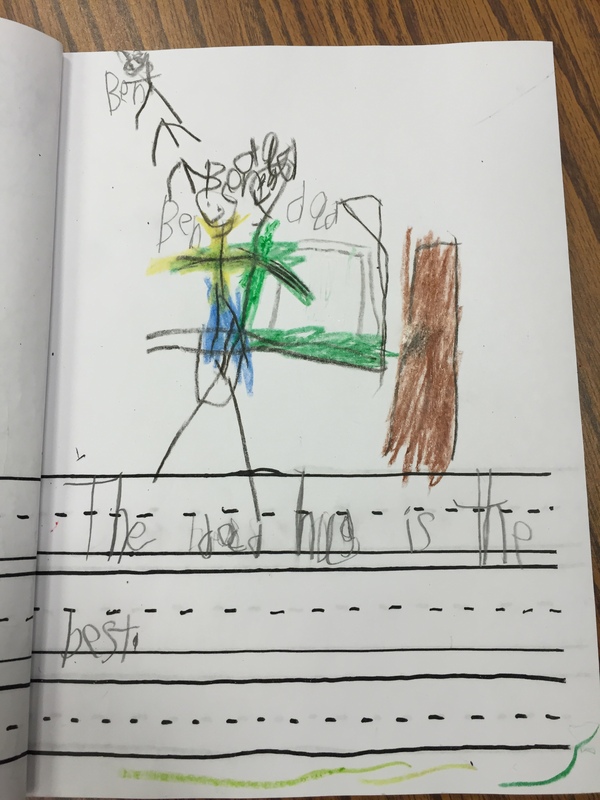 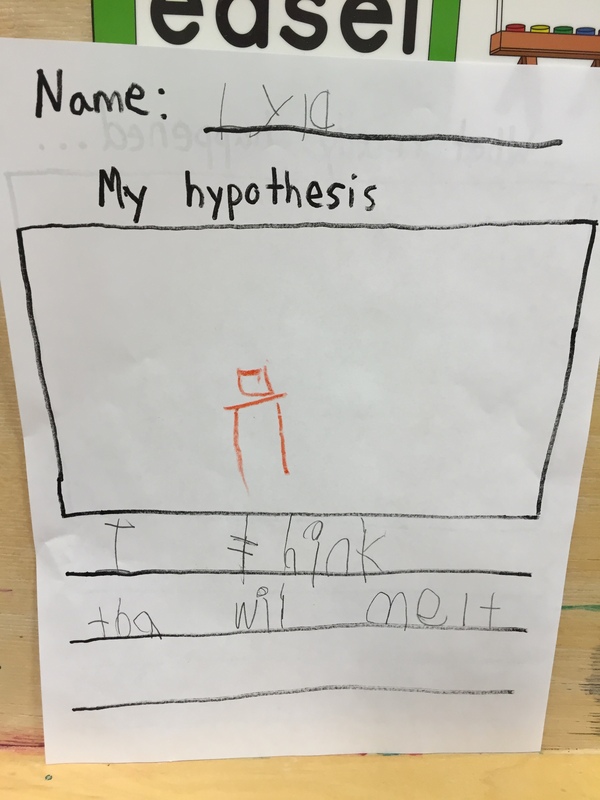 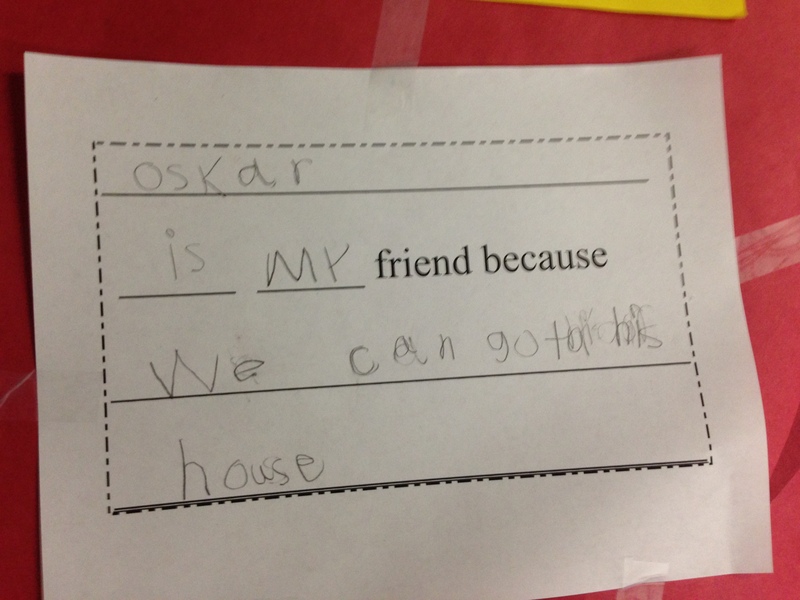 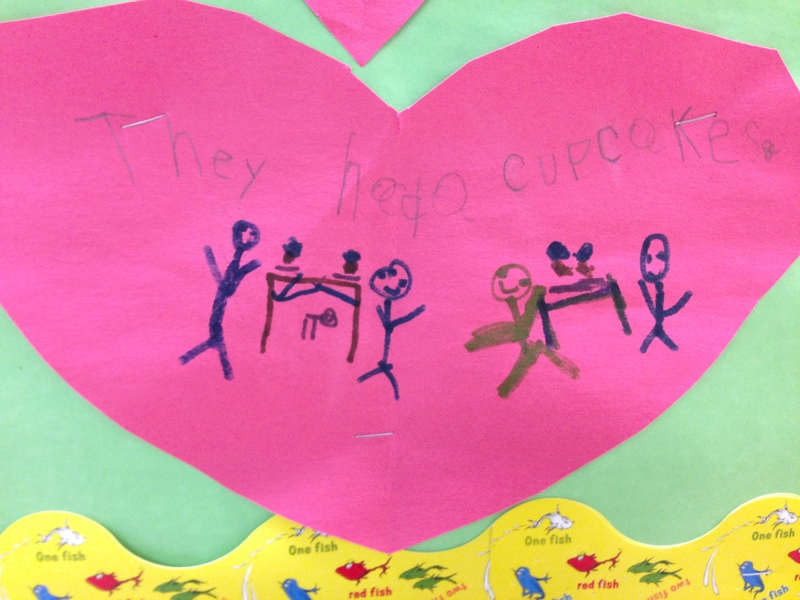 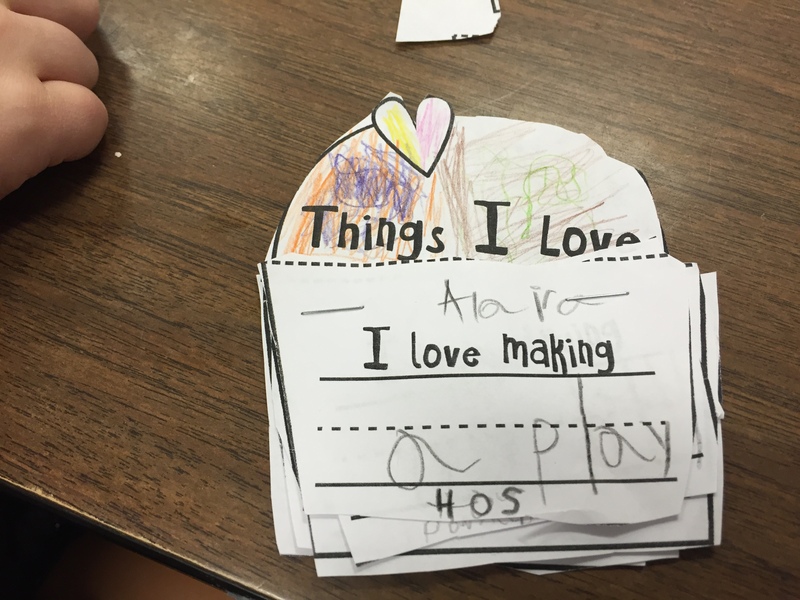 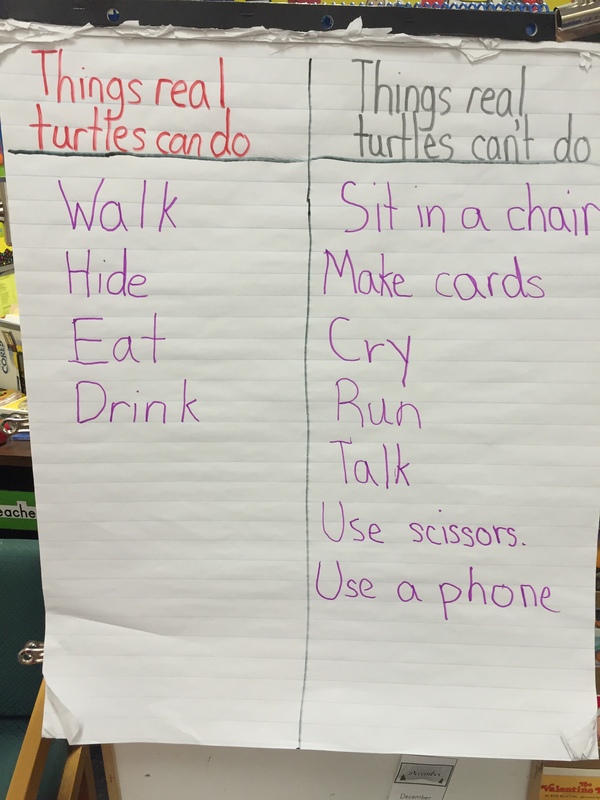 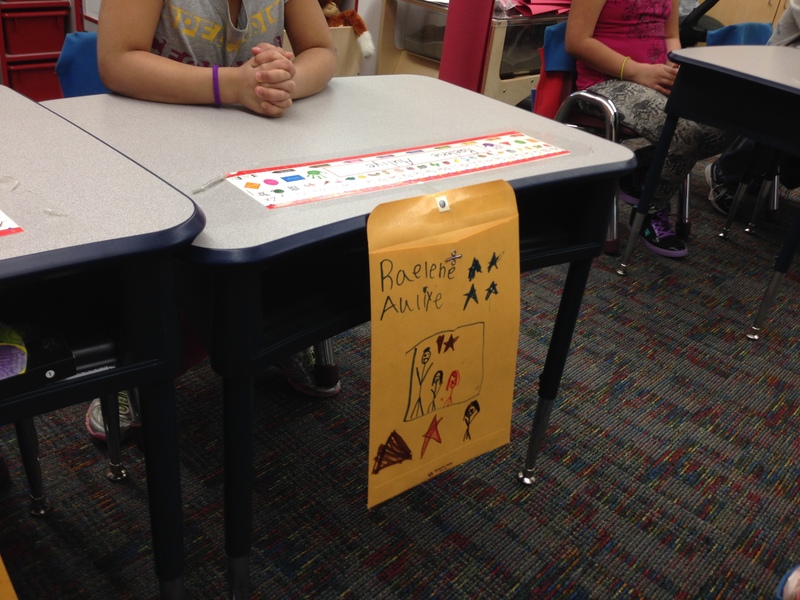 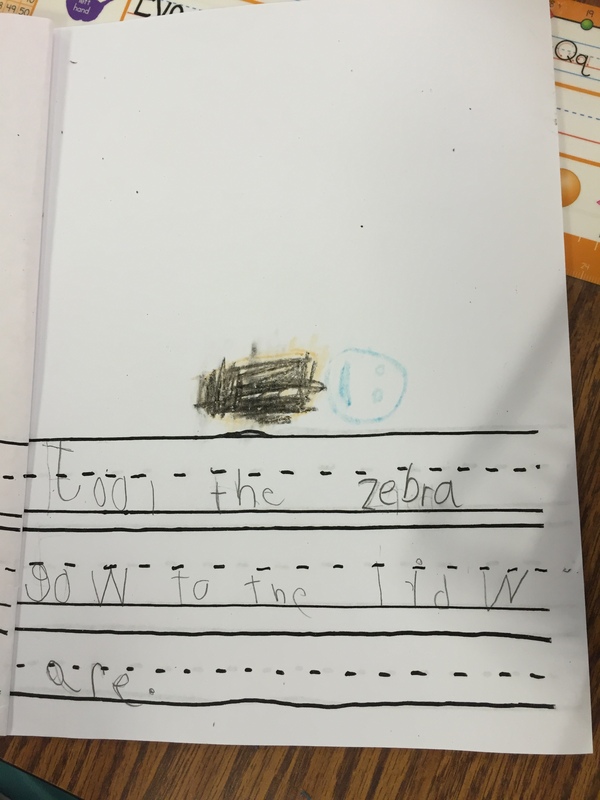 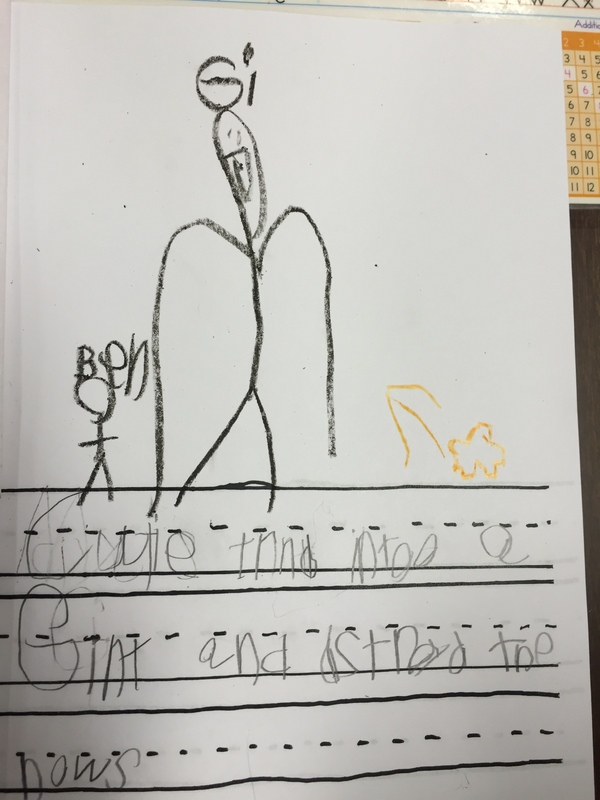 On the hearts we wrote about one key detail we learned from the story. 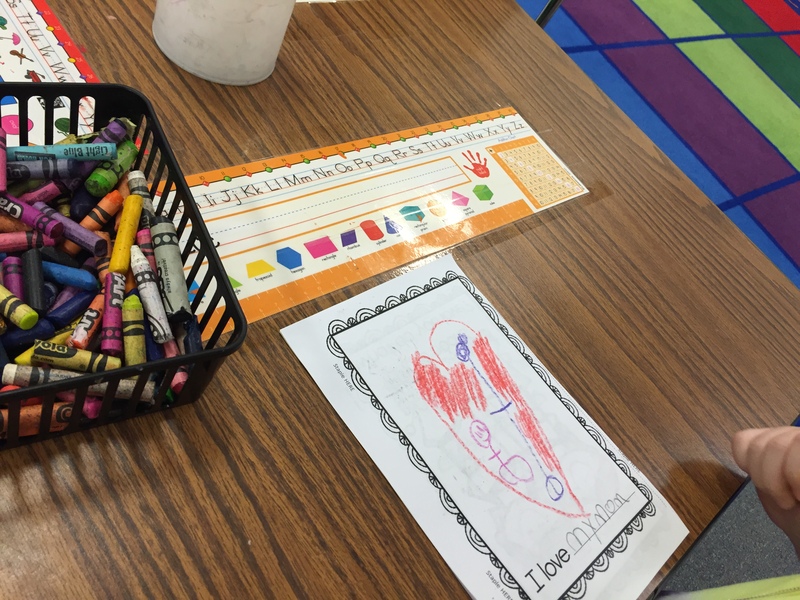 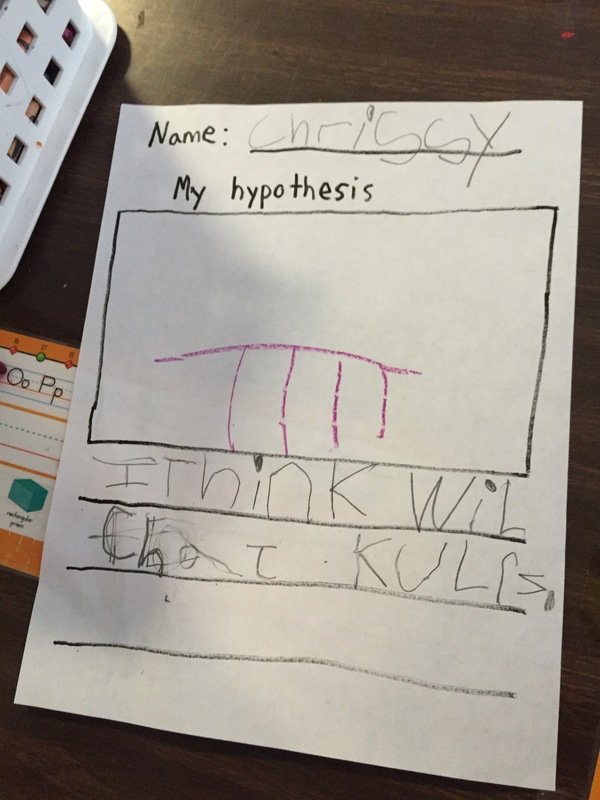 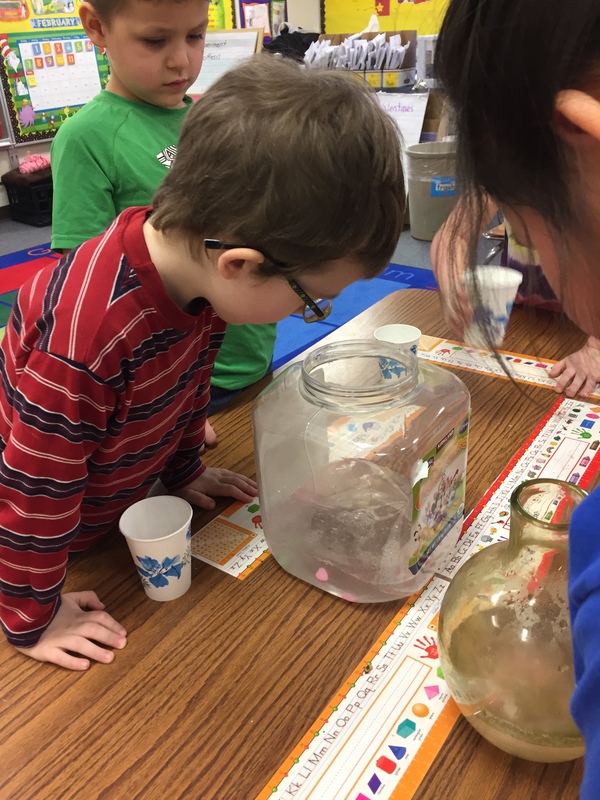 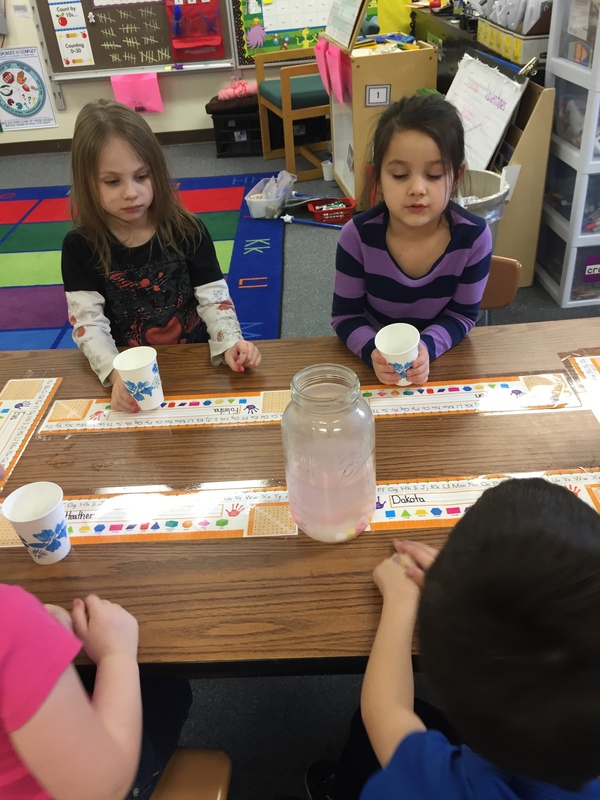 In Kindergarten we’ve been learning about how to subtract. 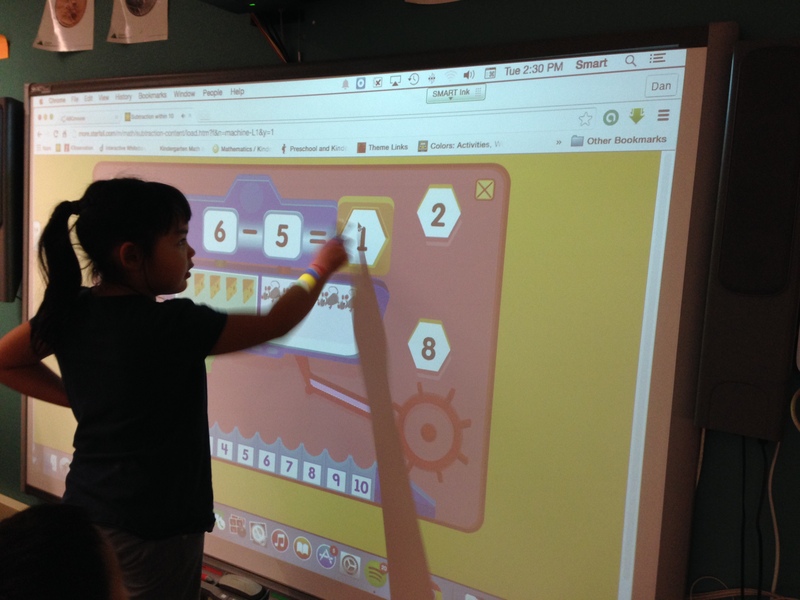 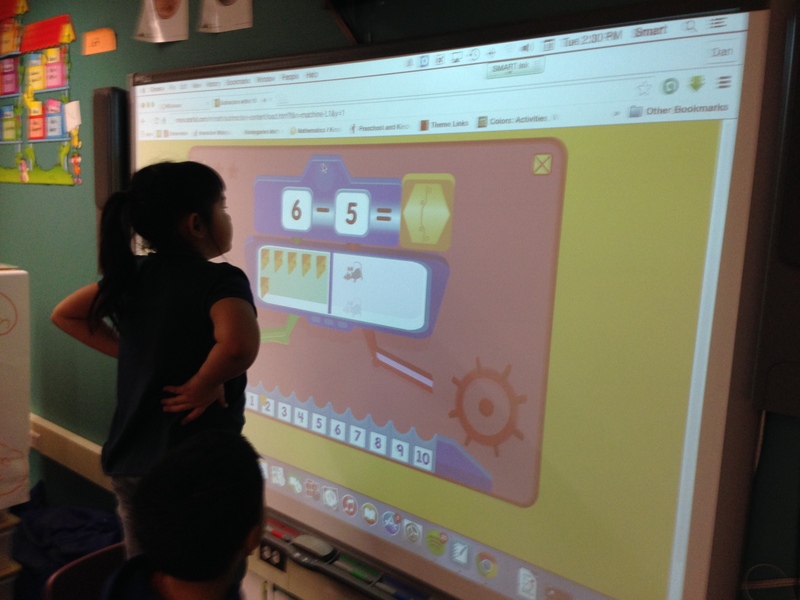 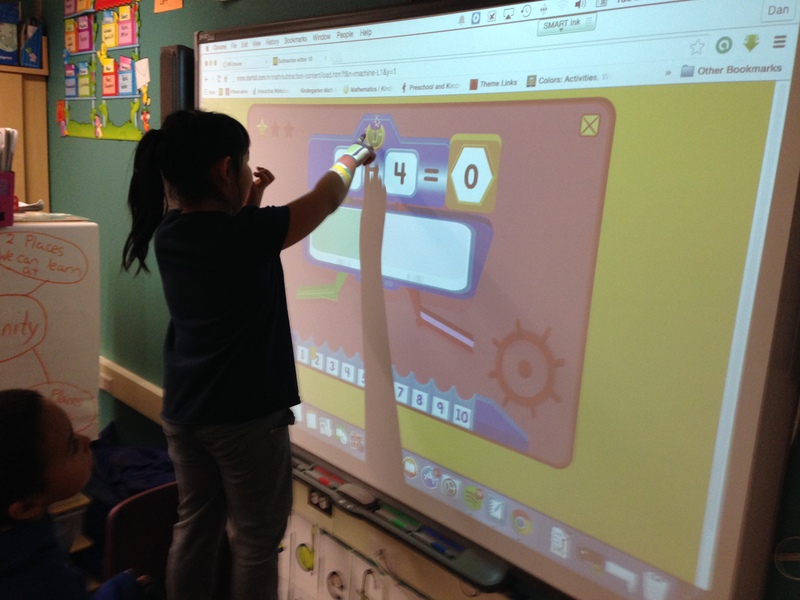 We started off with playing a subtraction game on http://www.starfall.com where students practiced learning how to take away a quantity and solve the equation. 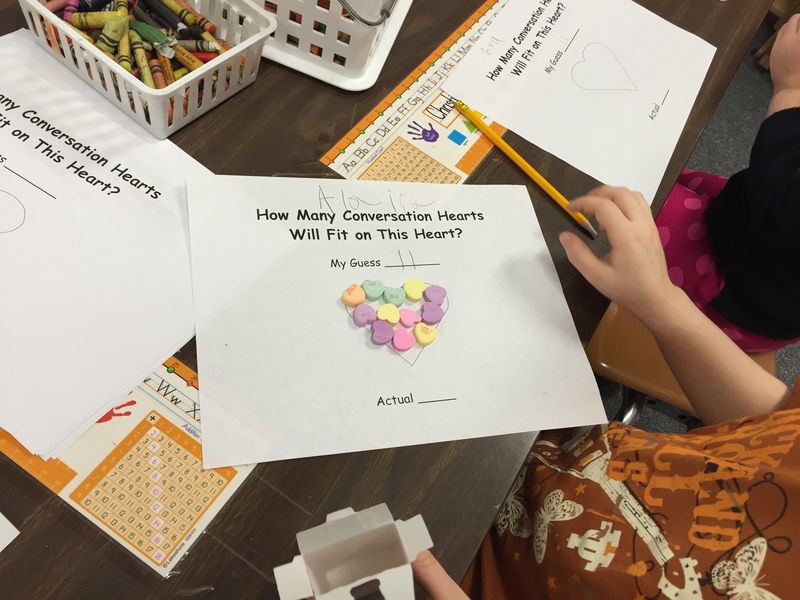 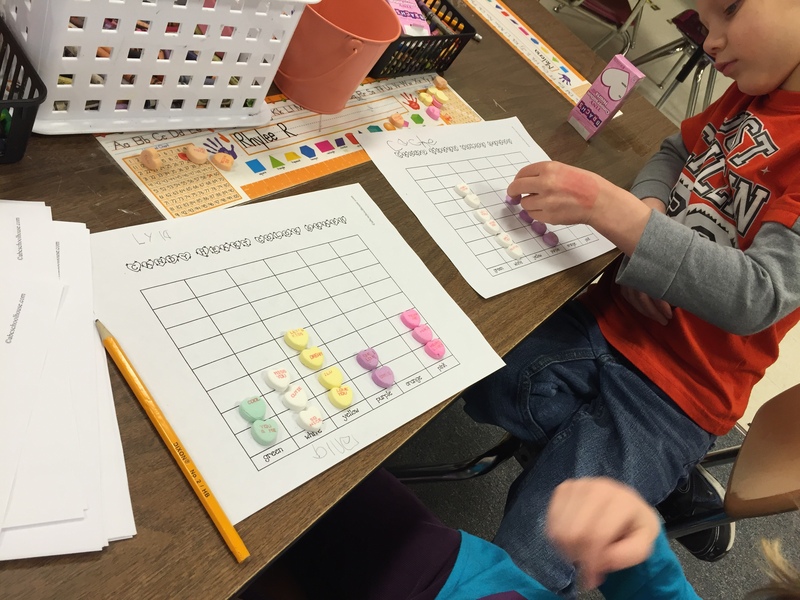 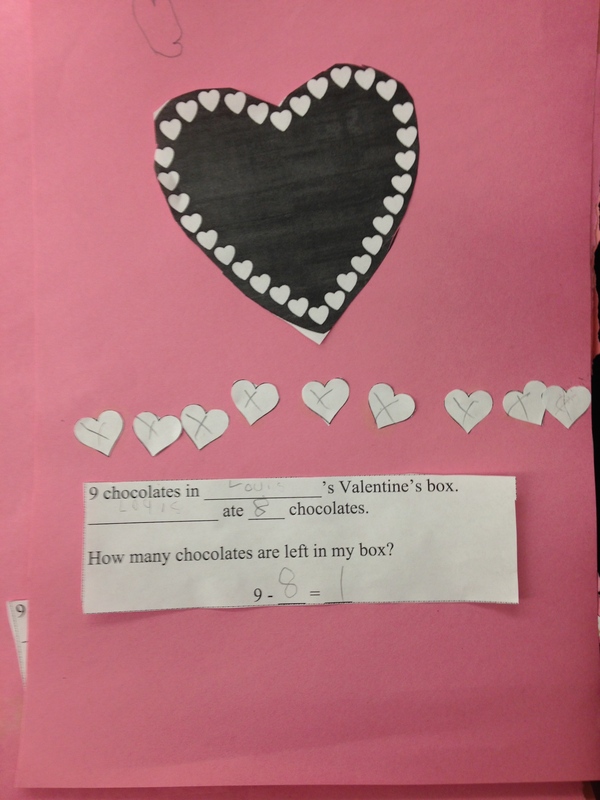 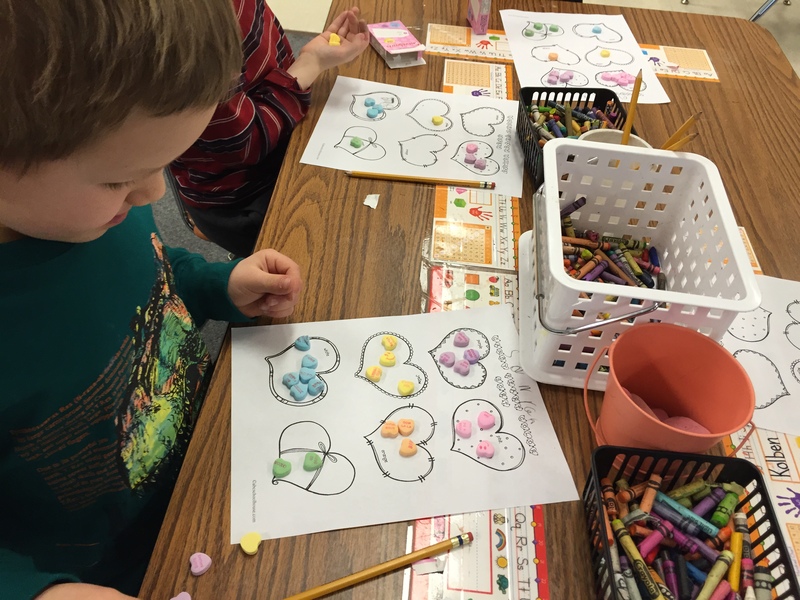 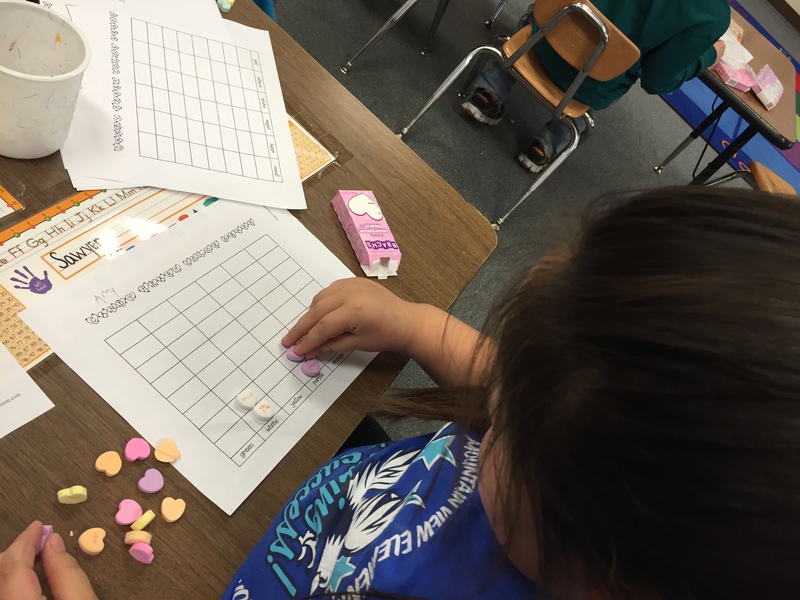 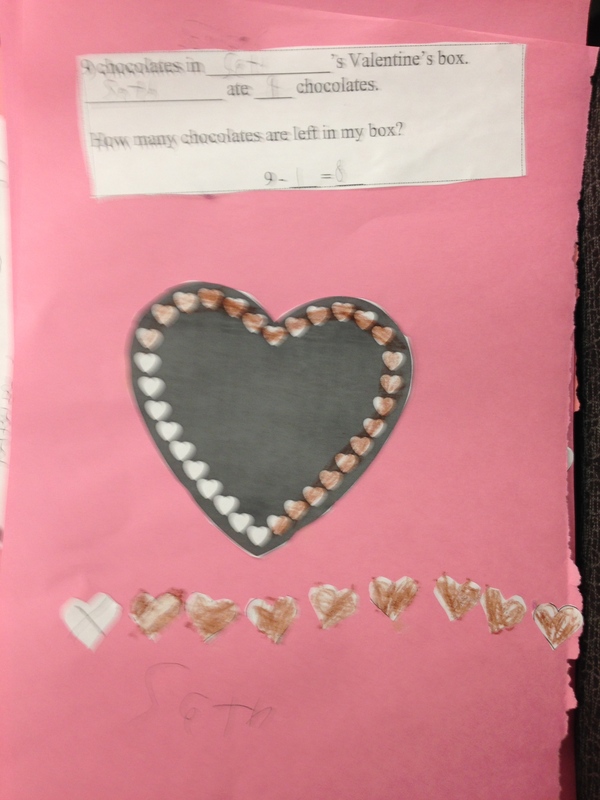 We then read the story “Will You Be My Valentine?” and then created subtraction story problems about getting valentine candy.